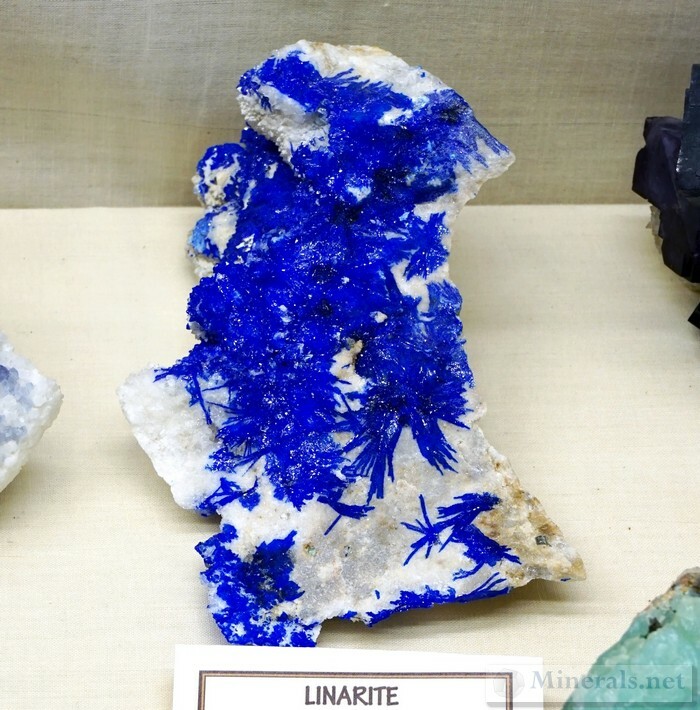 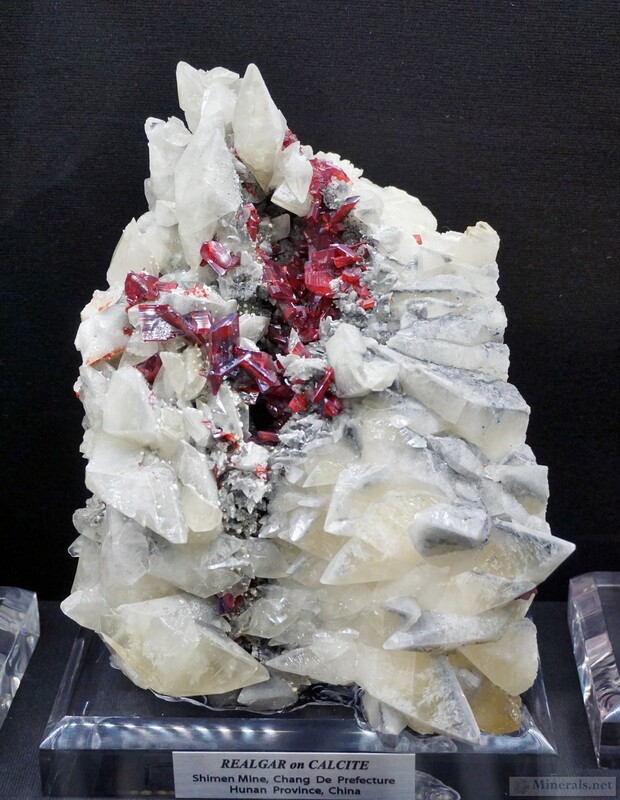 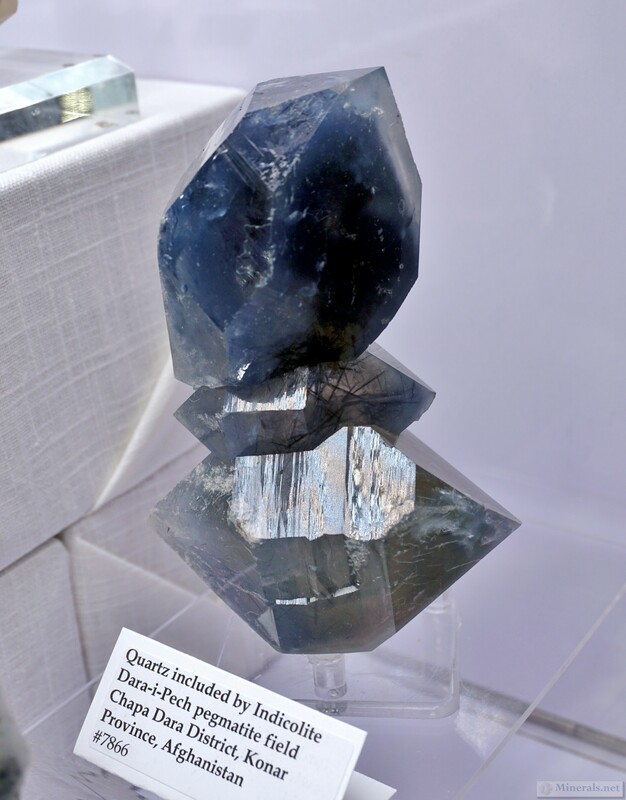 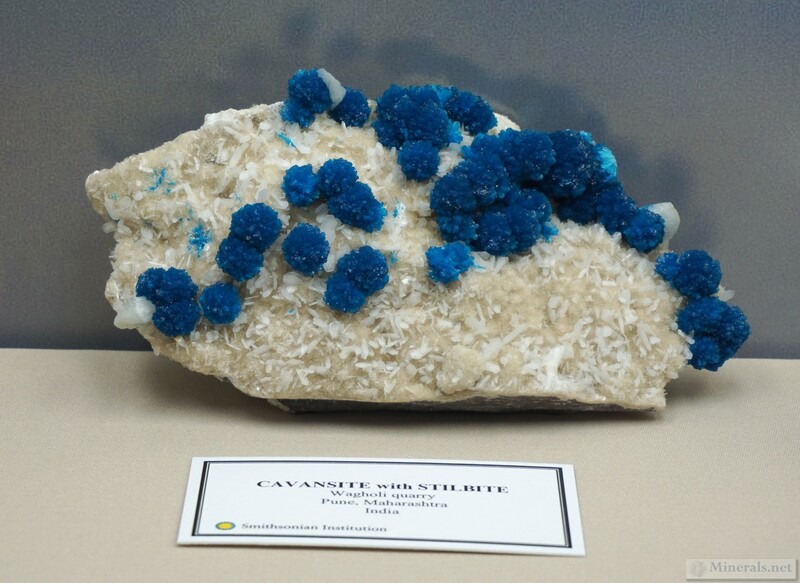 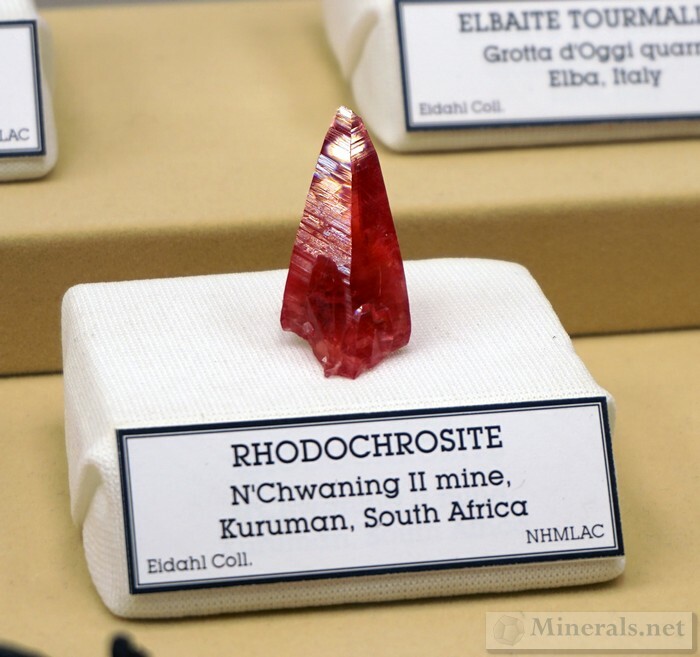 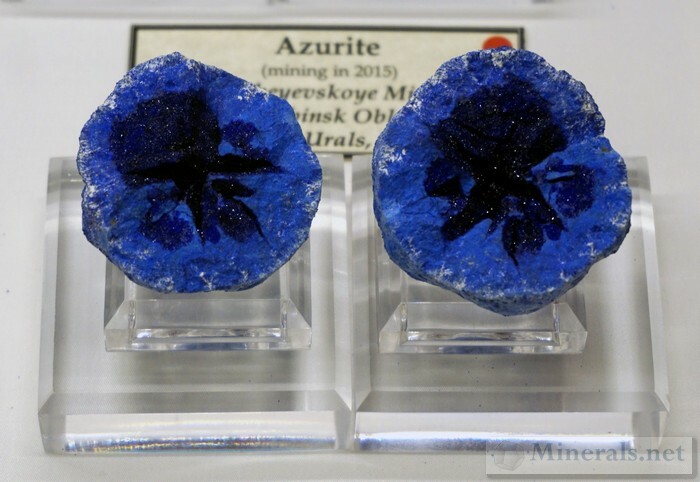 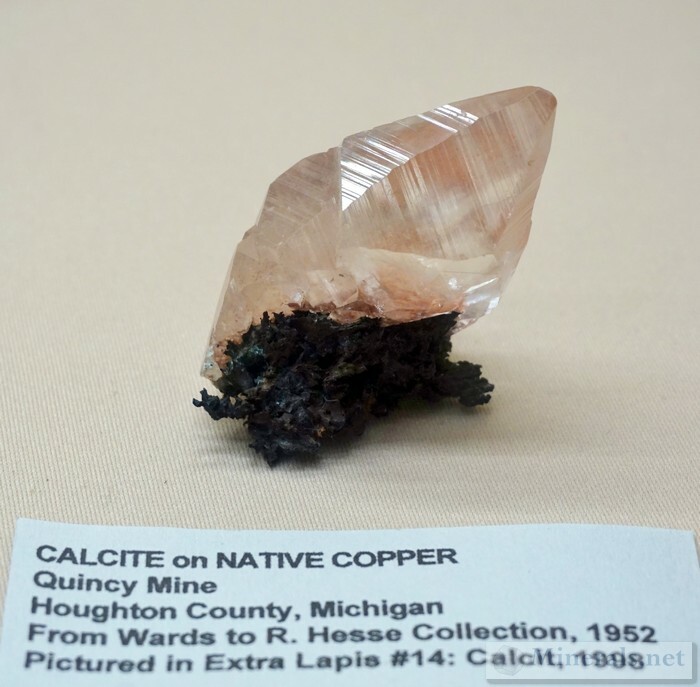 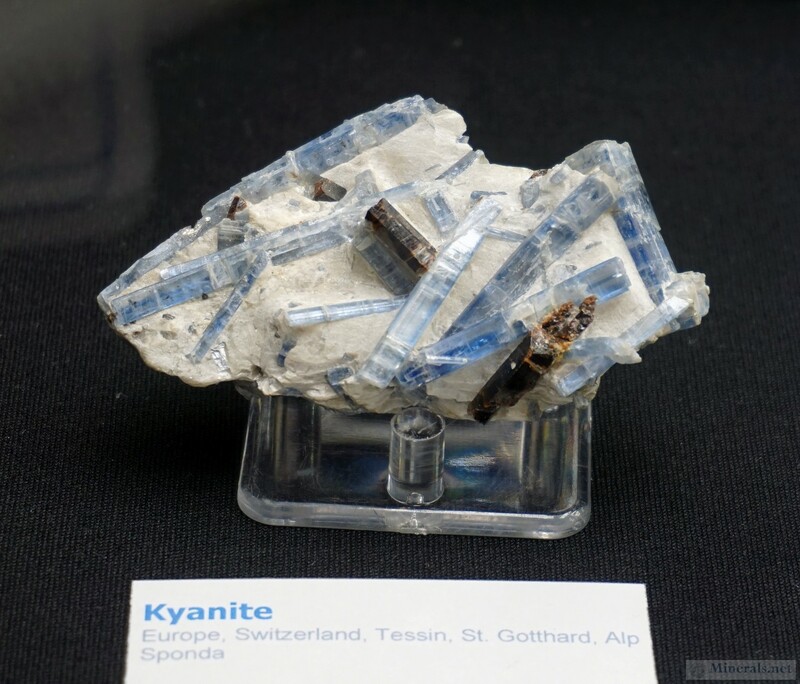 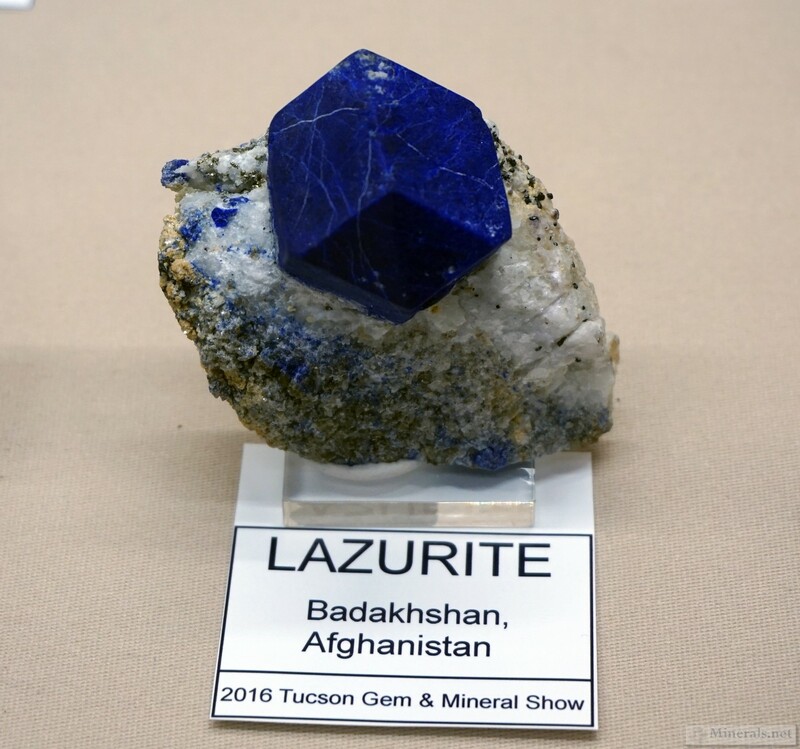 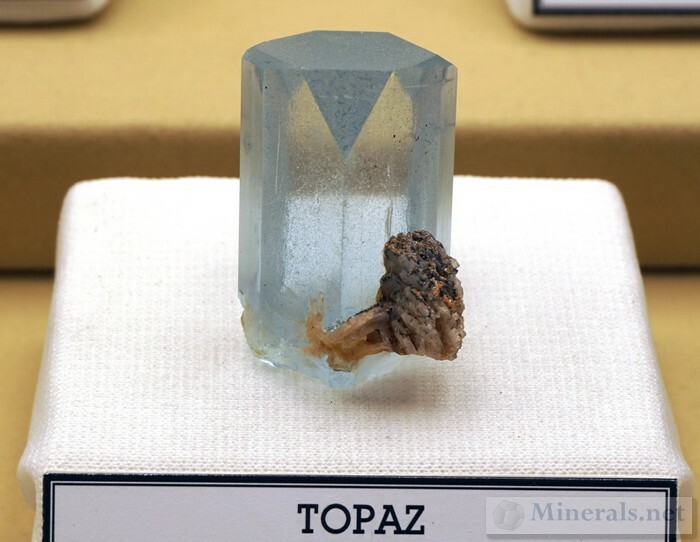 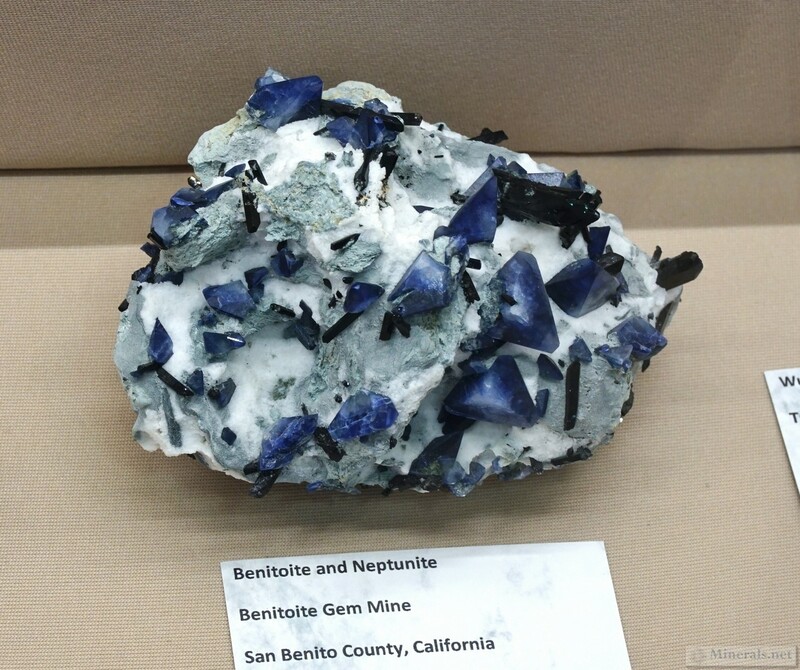 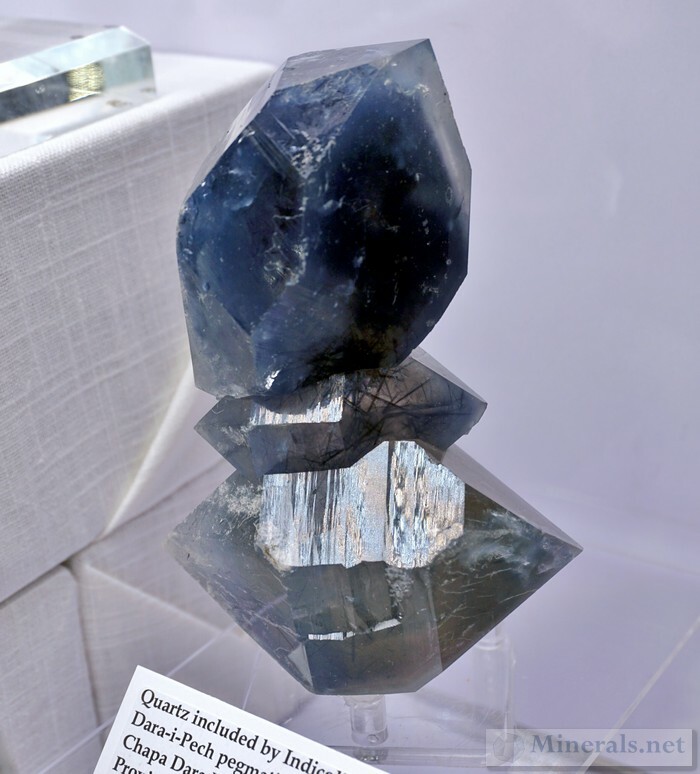 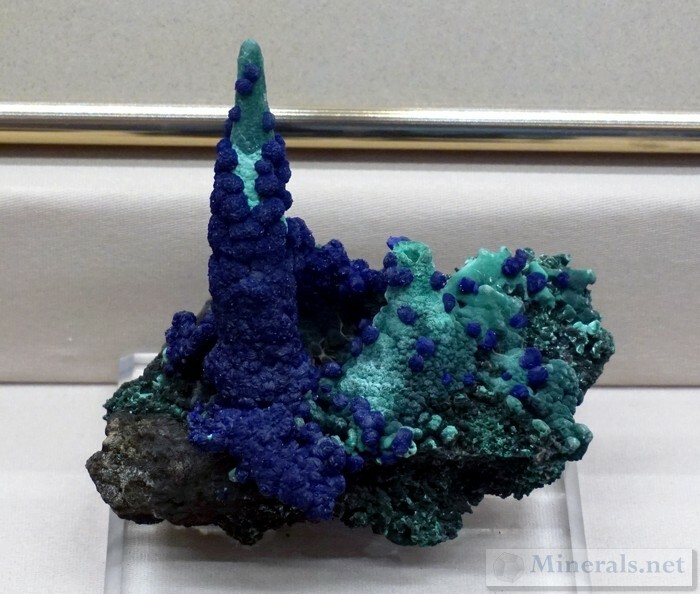 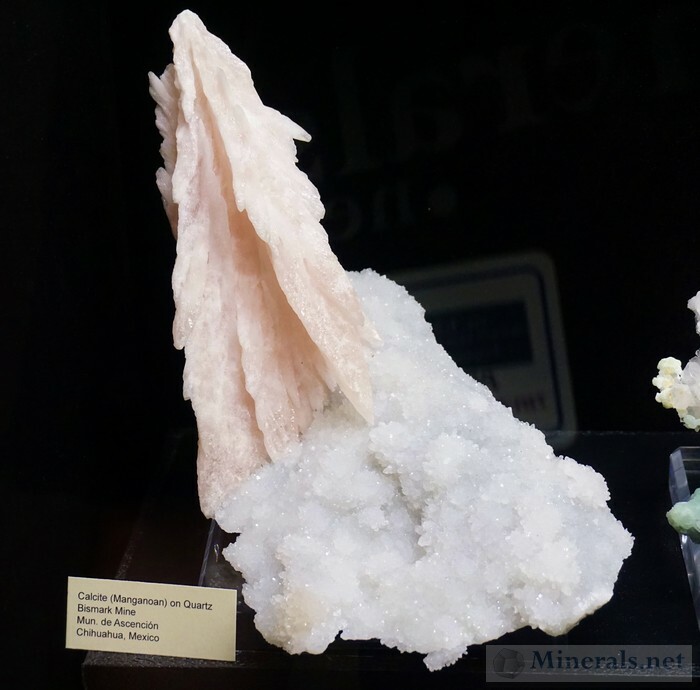 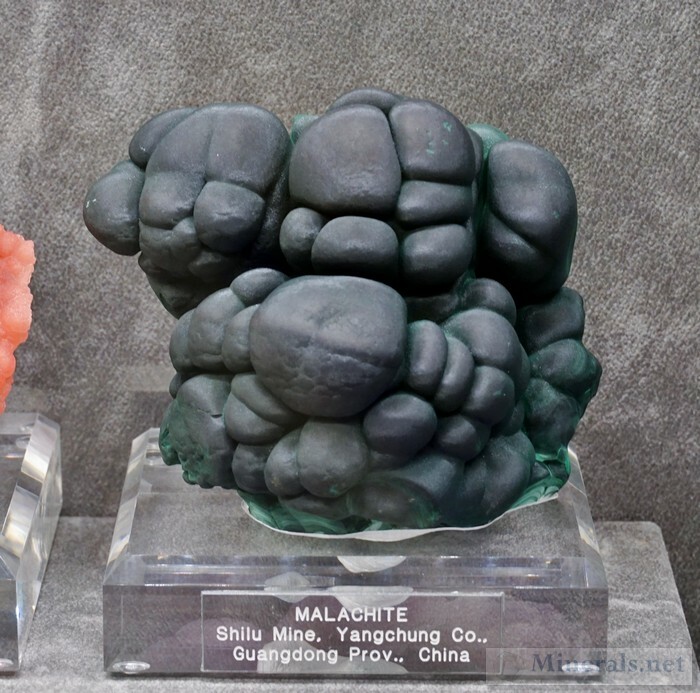 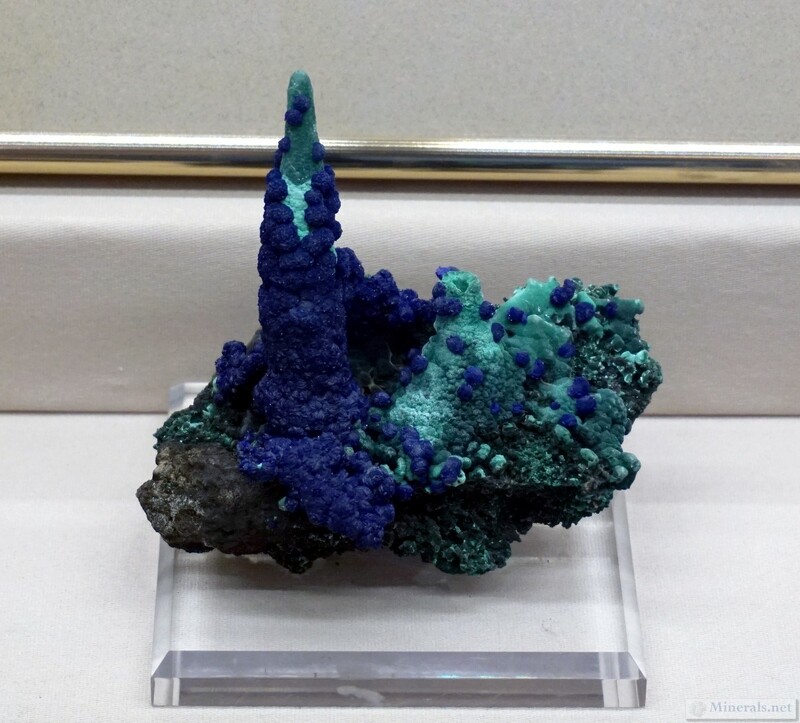 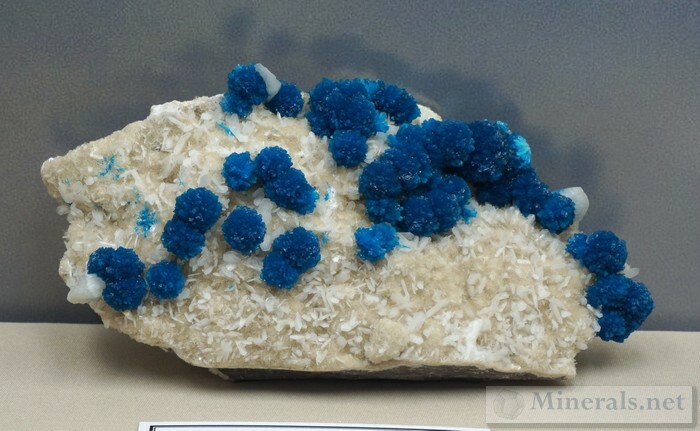 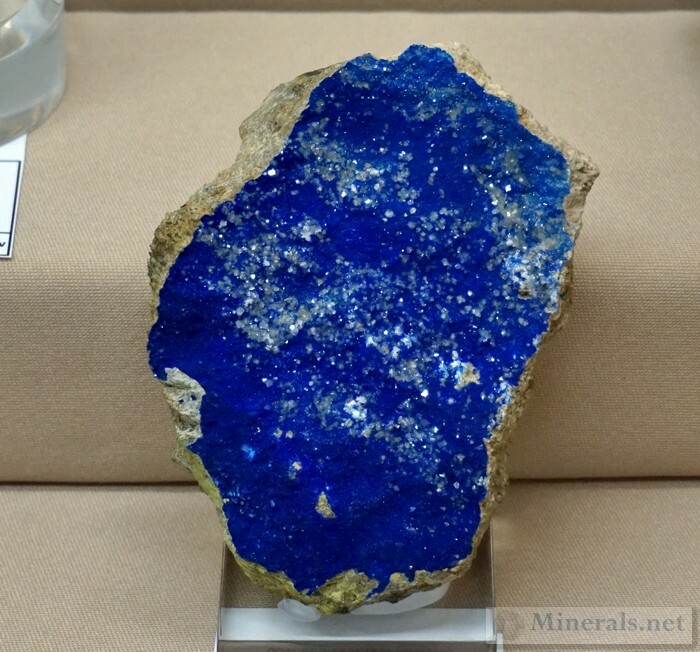 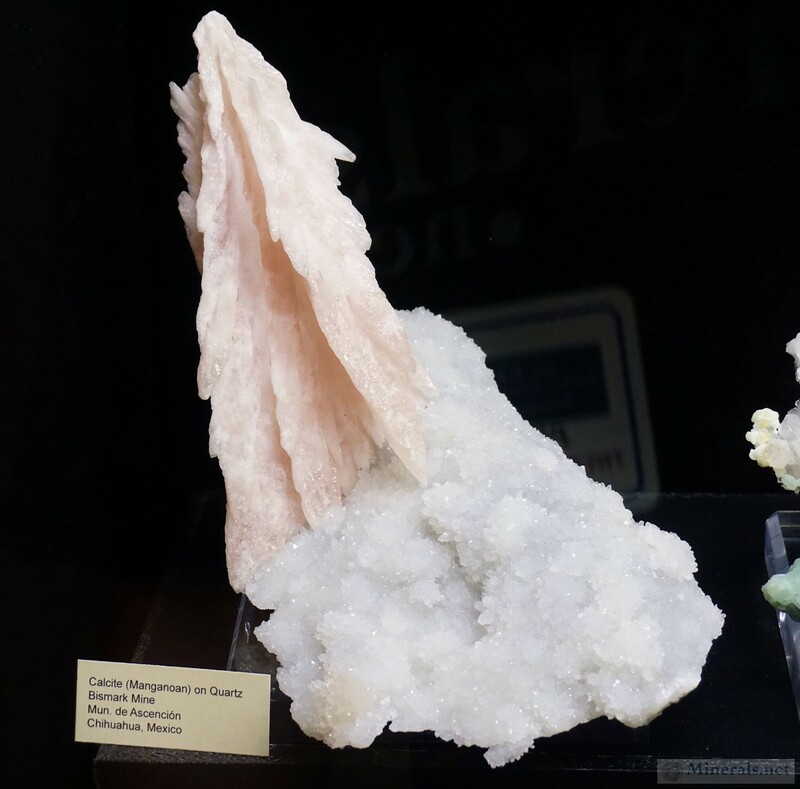 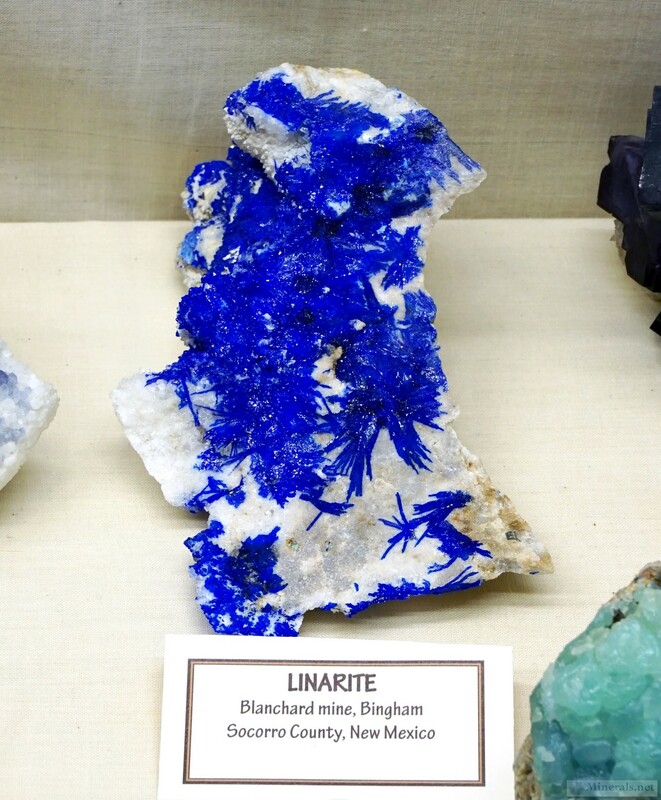 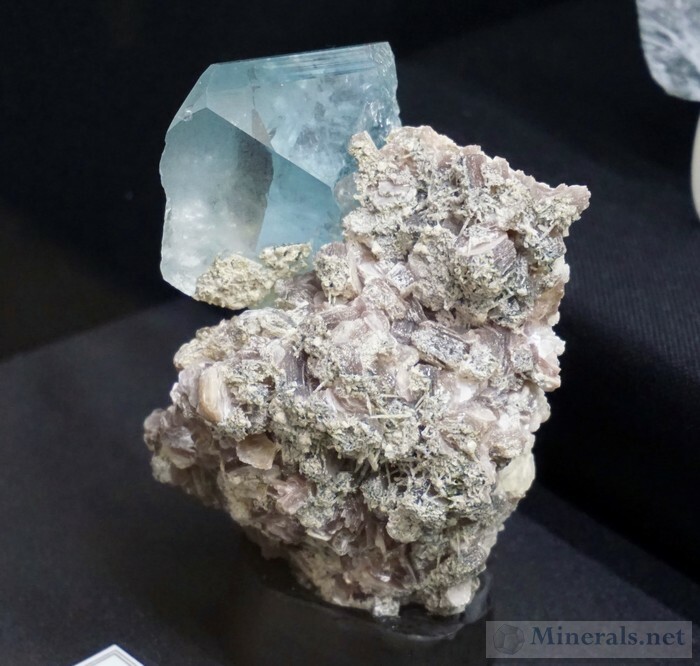 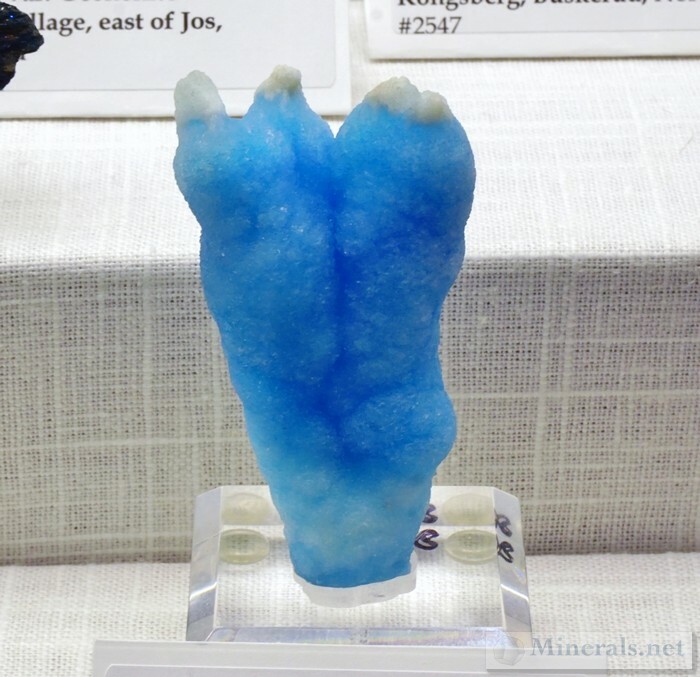 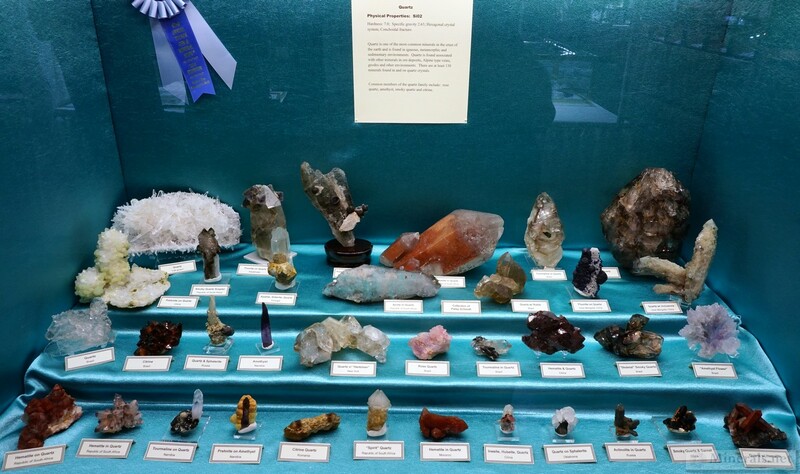 This post contains photos of some of the individual minerals at The 2016 Tucson Gem and Mineral Show® not related to the "Shades of Blue" theme. 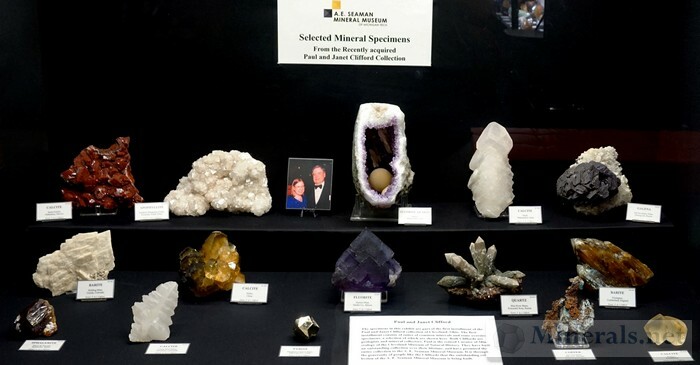 While most of the public displays were dedicated to general theme, many were not. 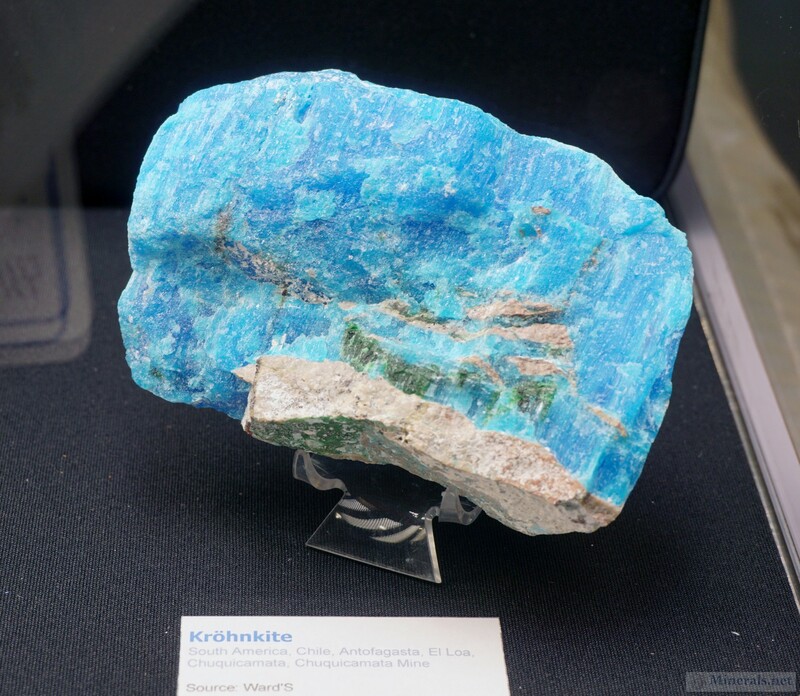 All images are clickable for larger photos. 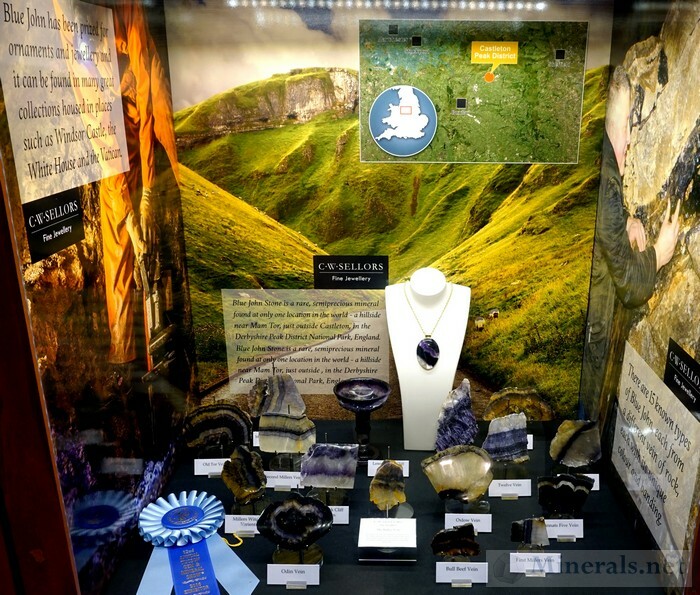 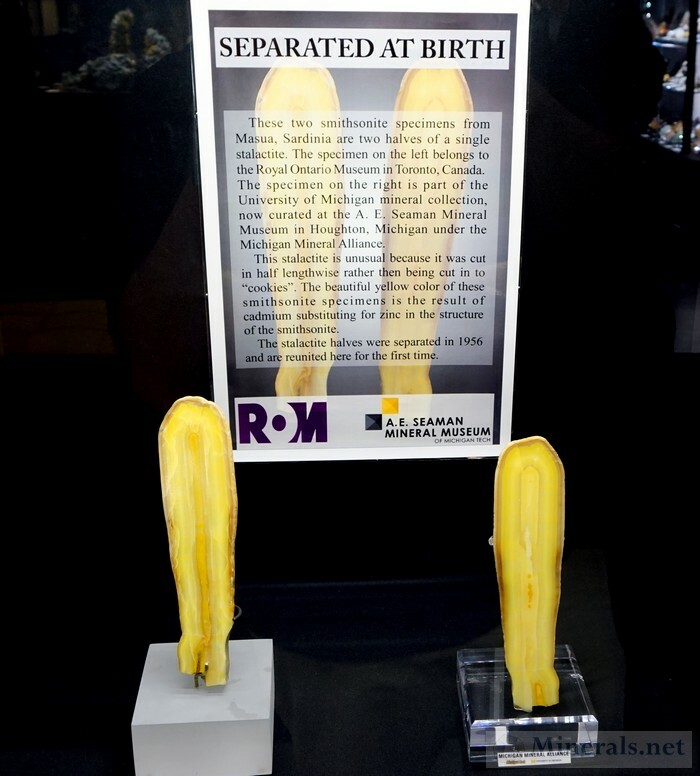 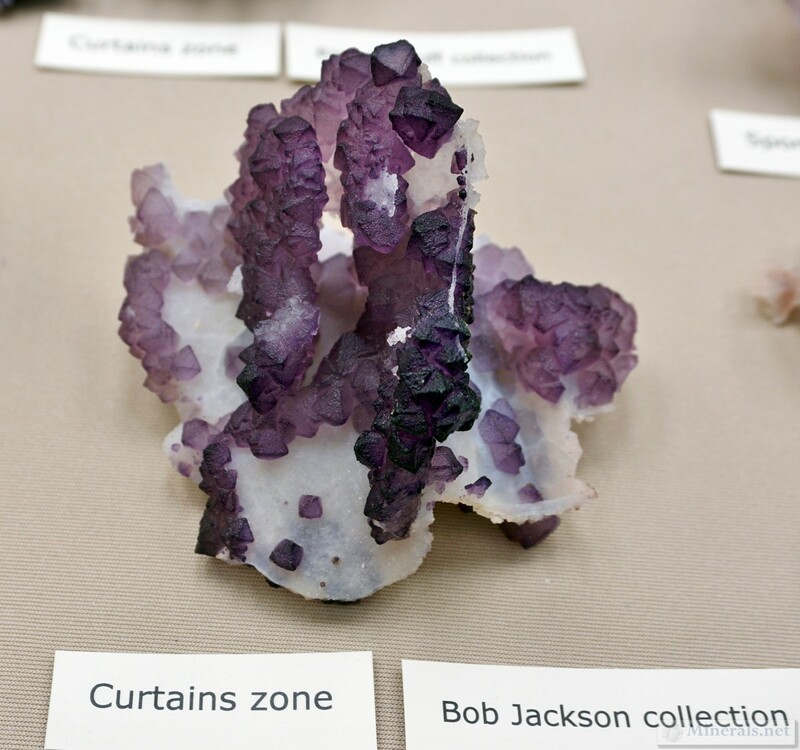 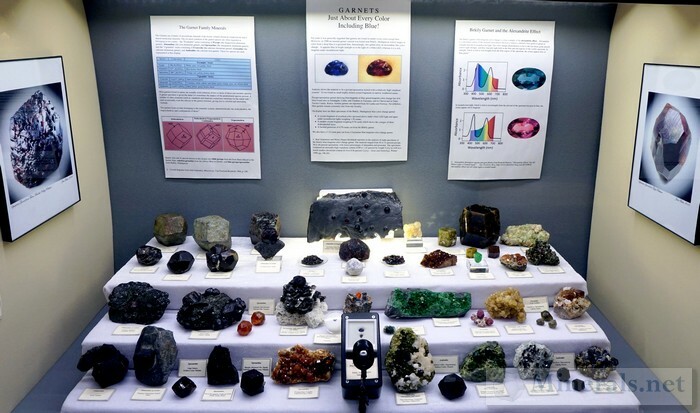 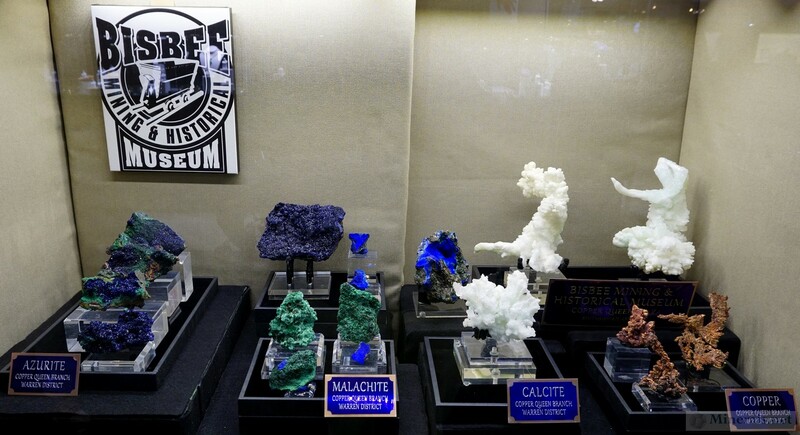 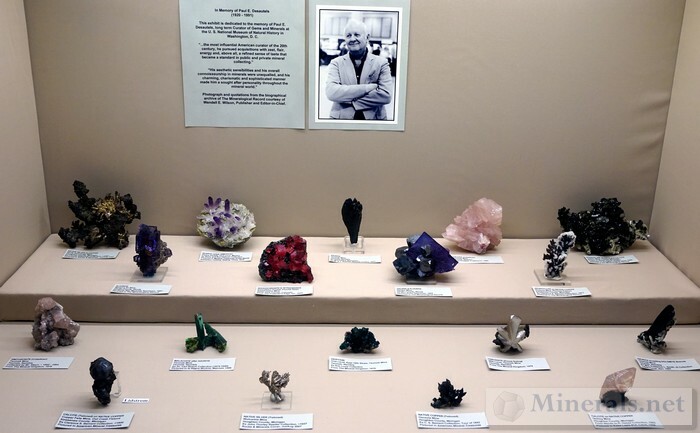 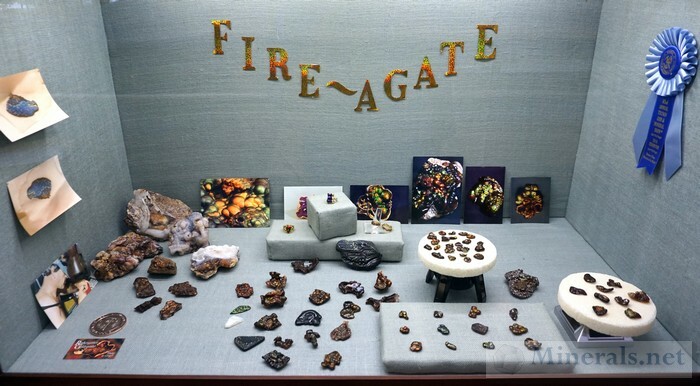 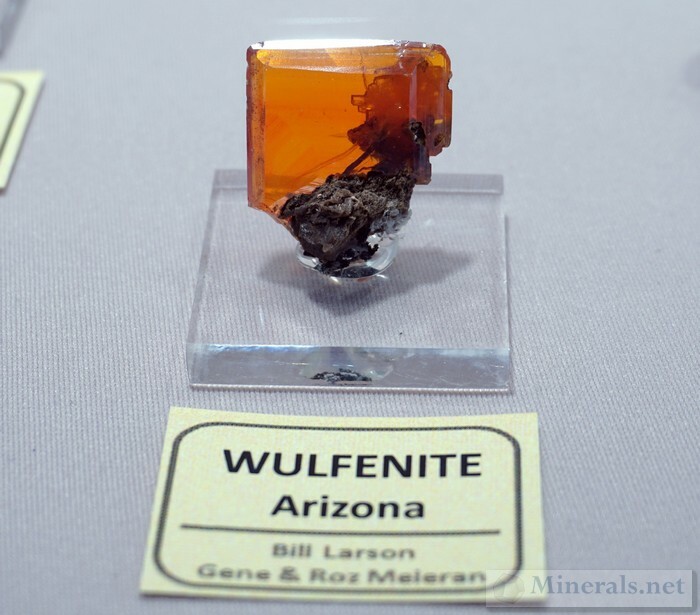 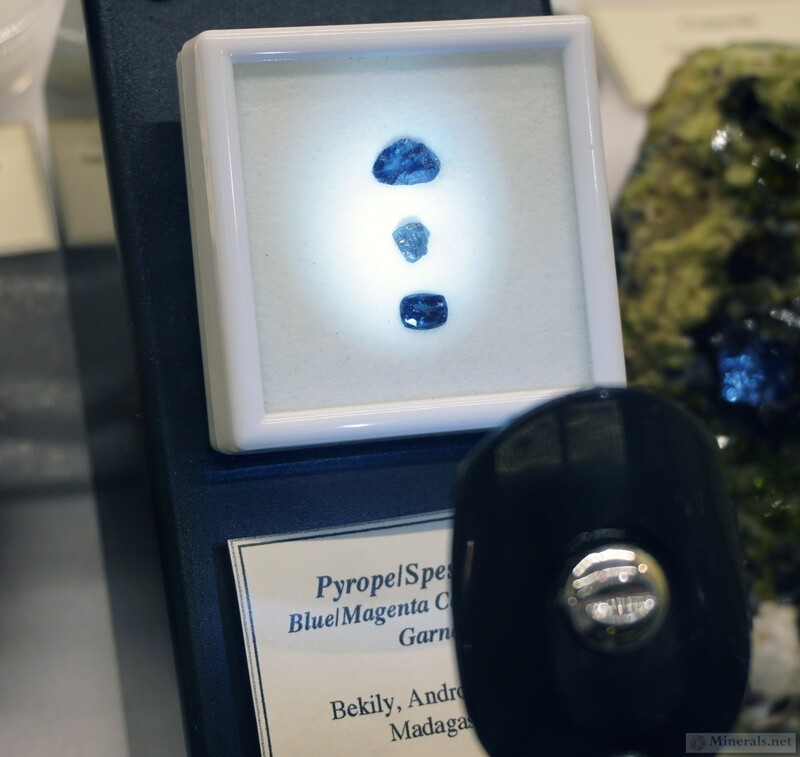 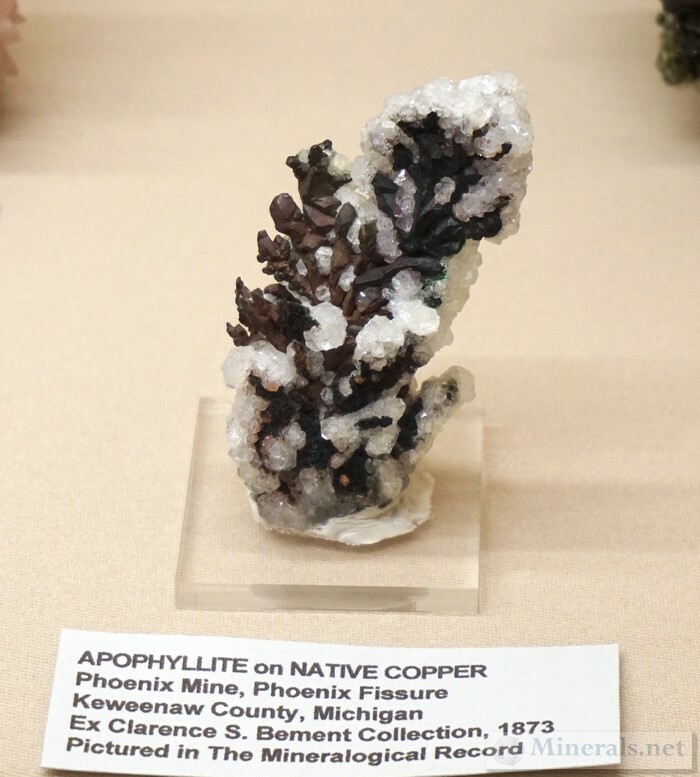 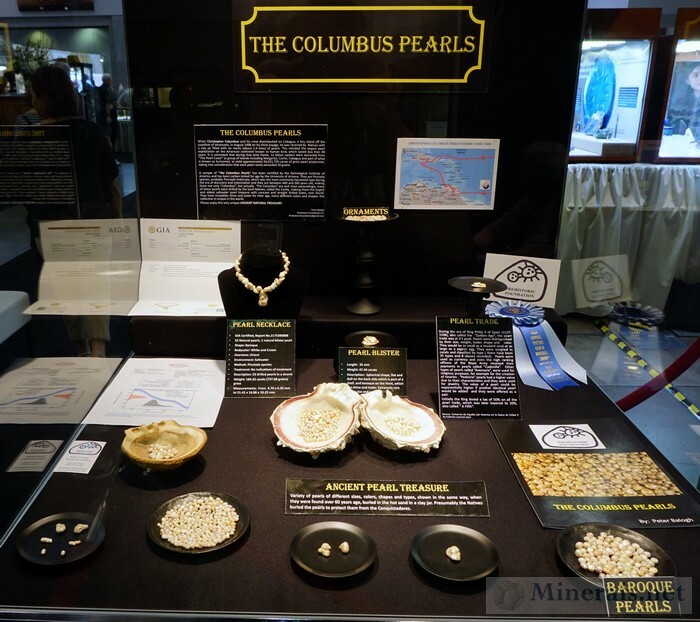 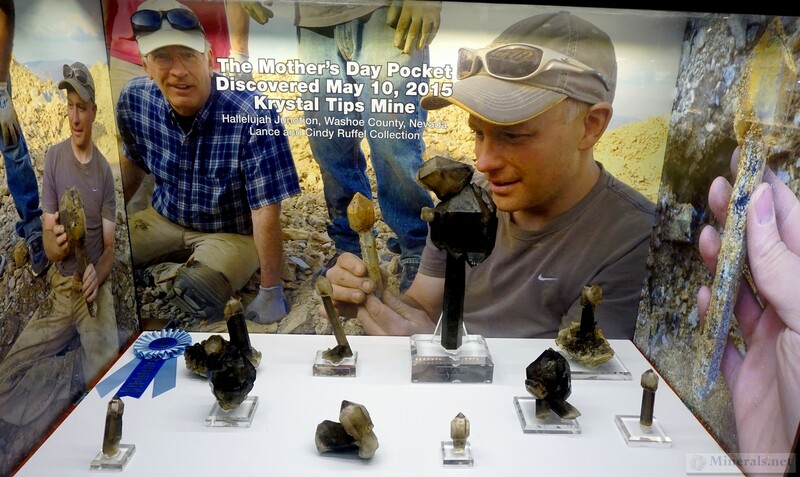 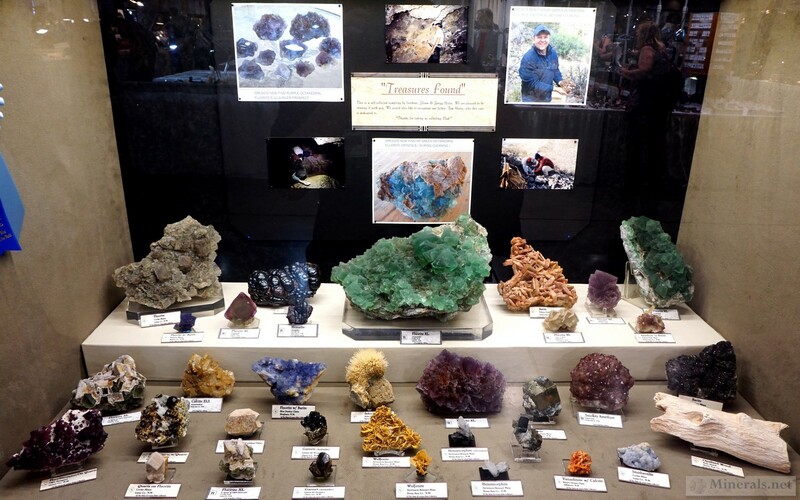 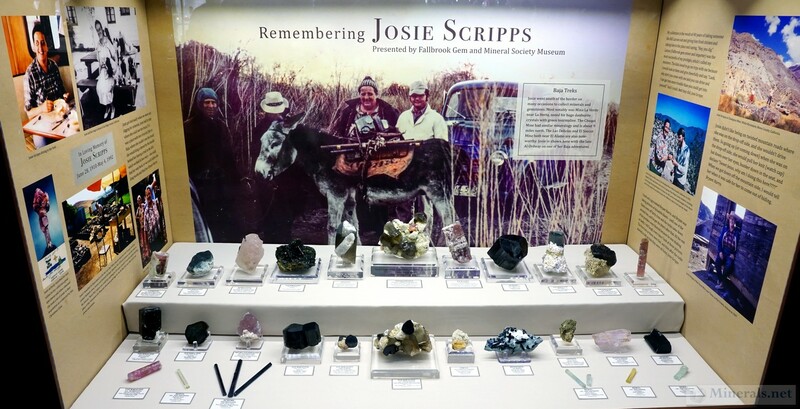 There were many non-themed exhibit display at the Tucson Gem and Mineral Show®. 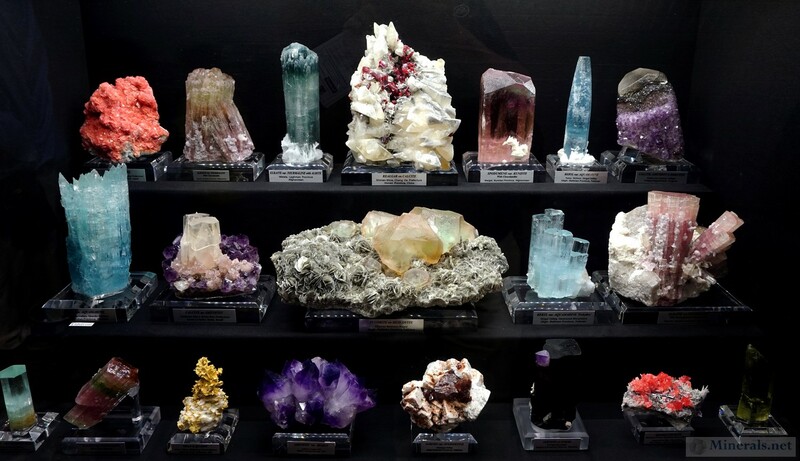 We already covered the first bunch in the previous post. 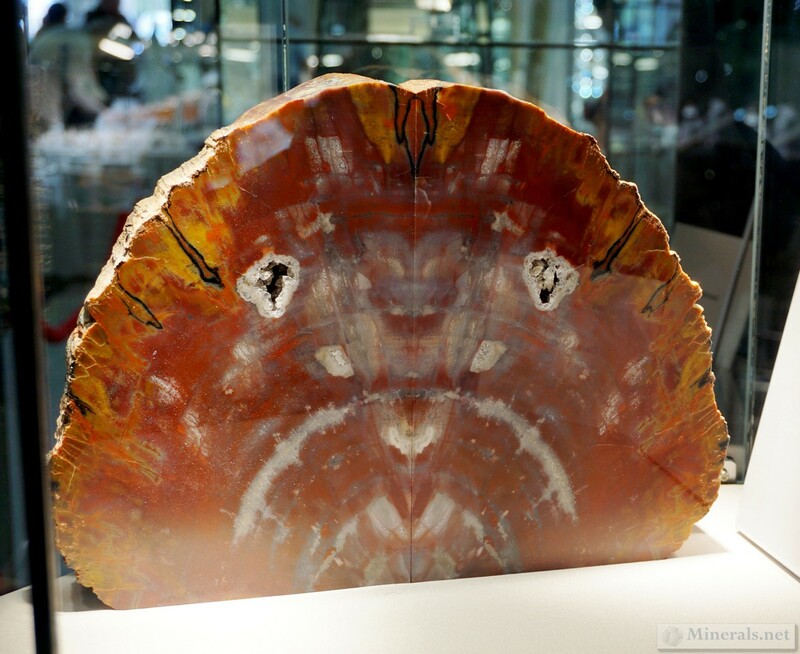 This post contains the remainder that we photographed. All images are clickable for larger photos. "Amethyst - An Almost Blue Hue"
"Garnets - Just About Every Color Including Blue"
In addition to all the blue-themed display exhibits at the Tucson Gem and Mineral Show®, there were plenty of displays not related to the main theme. 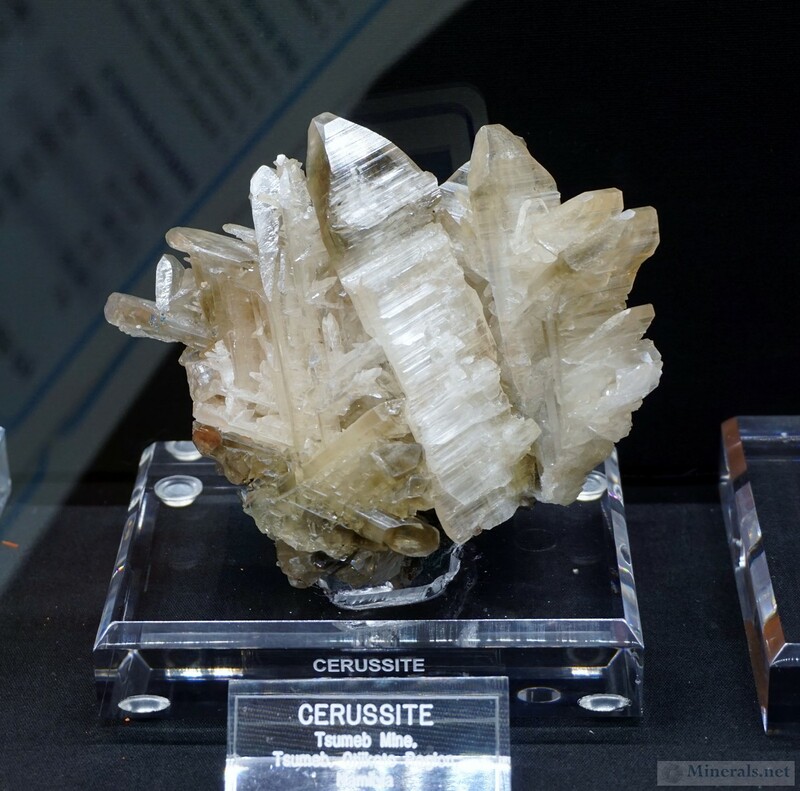 The pictures below represent the majority of these cases, which will be divided into two individual posts. 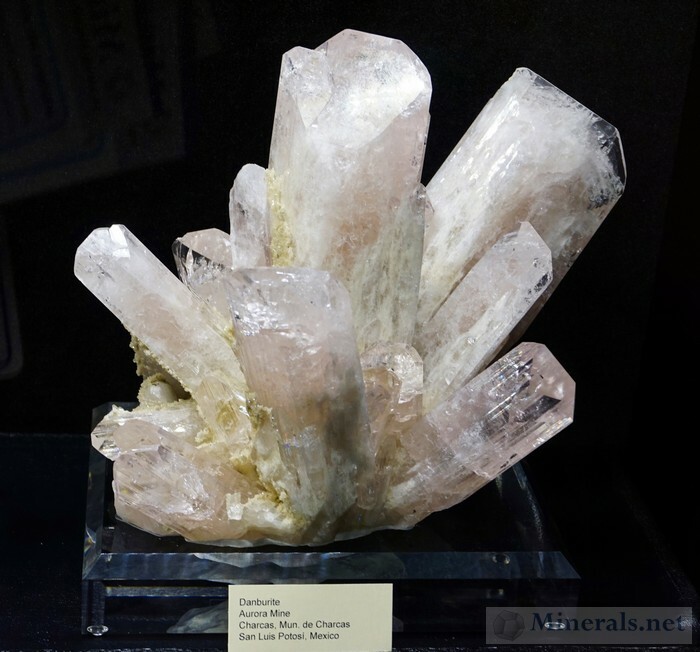 All images are clickable for larger photos. 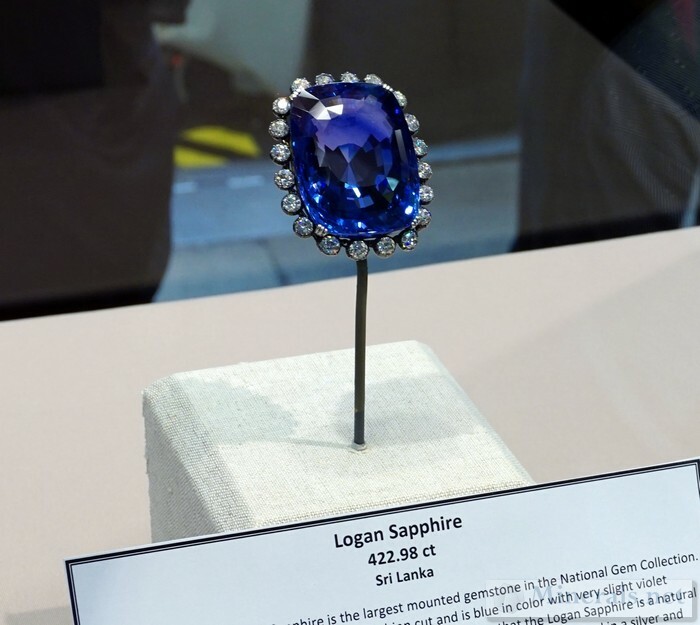 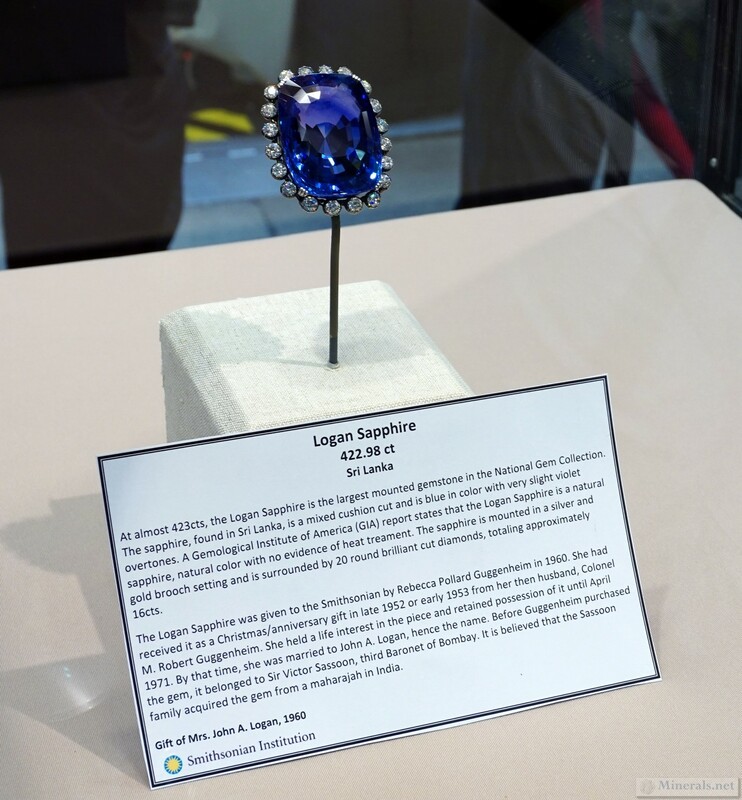 "Orange is the New Blue"
The Logan Sapphire, 422 carats, from Sri Lanka. 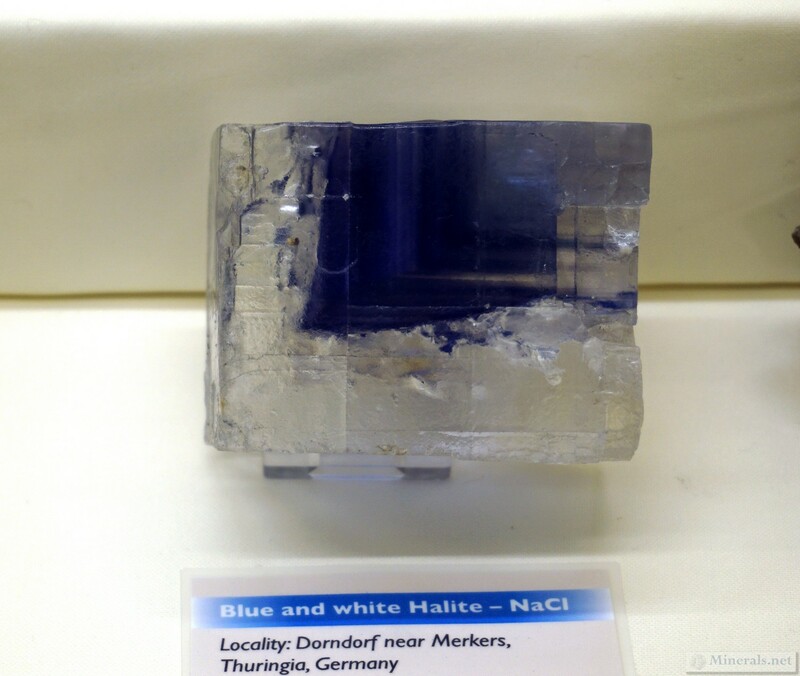 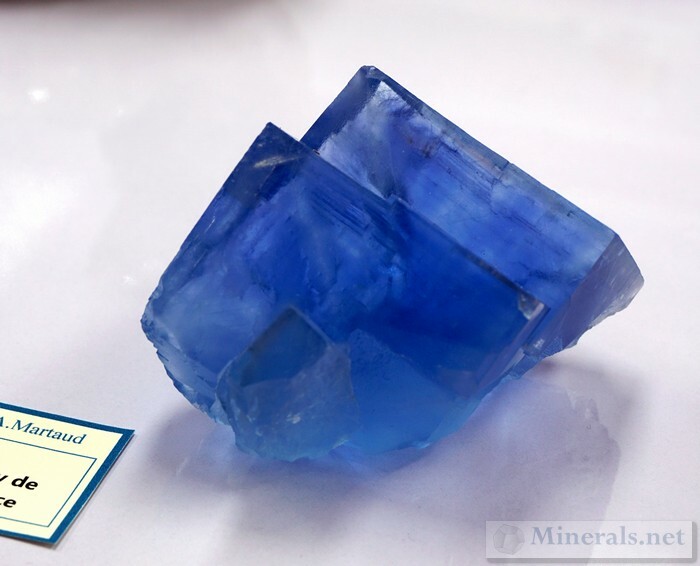 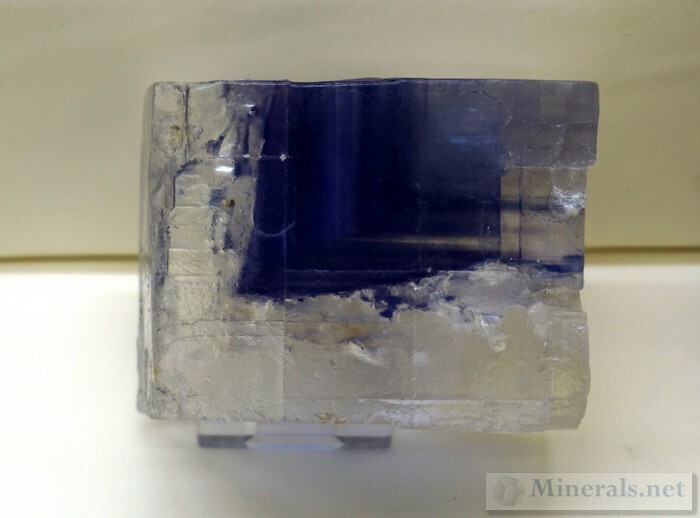 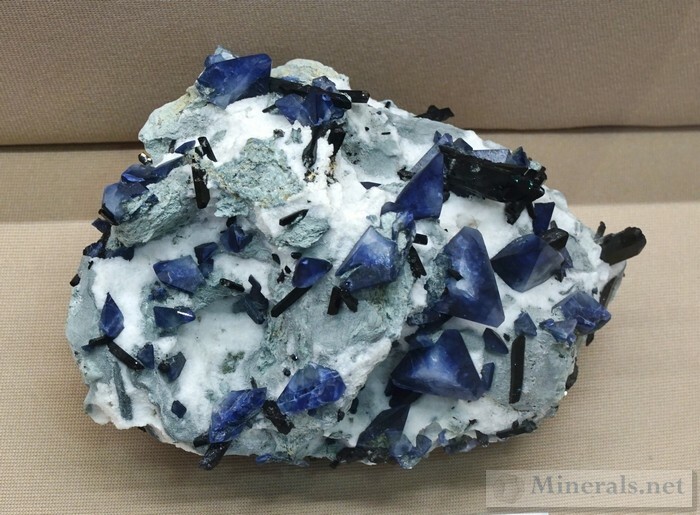 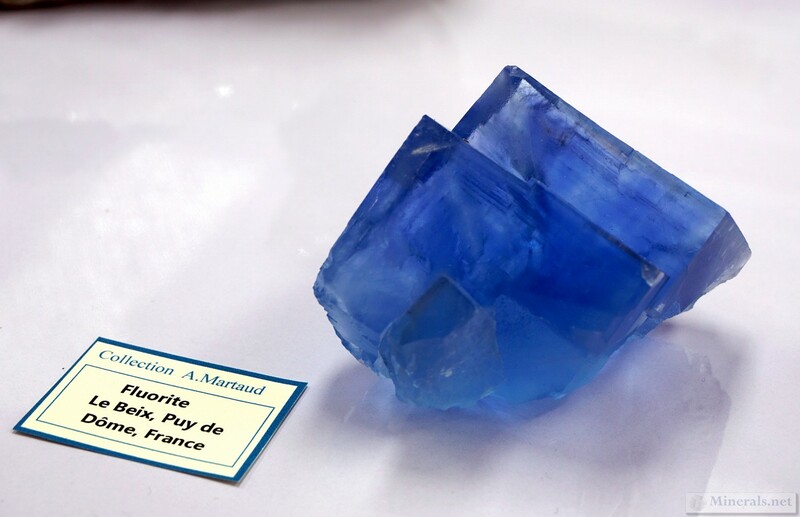 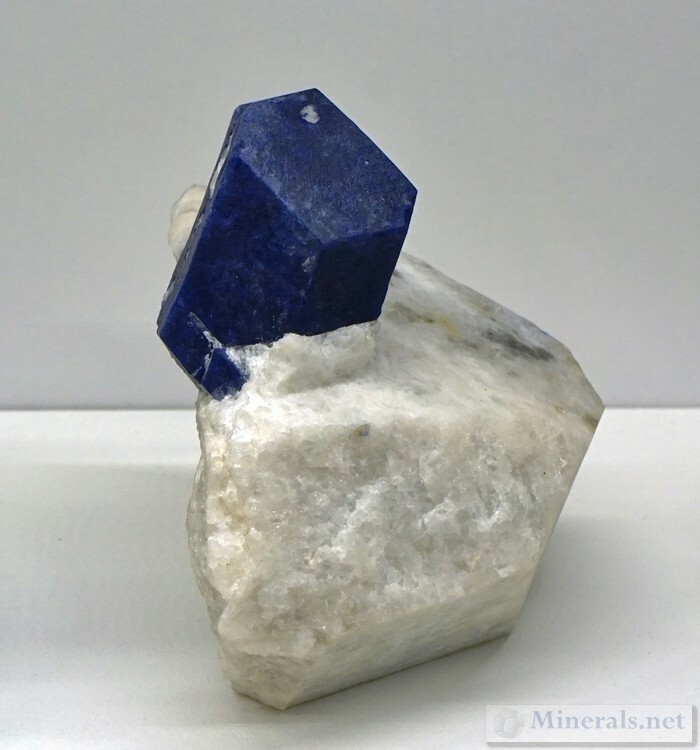 This is one of the largest blue Euclase crystals I have ever seen! 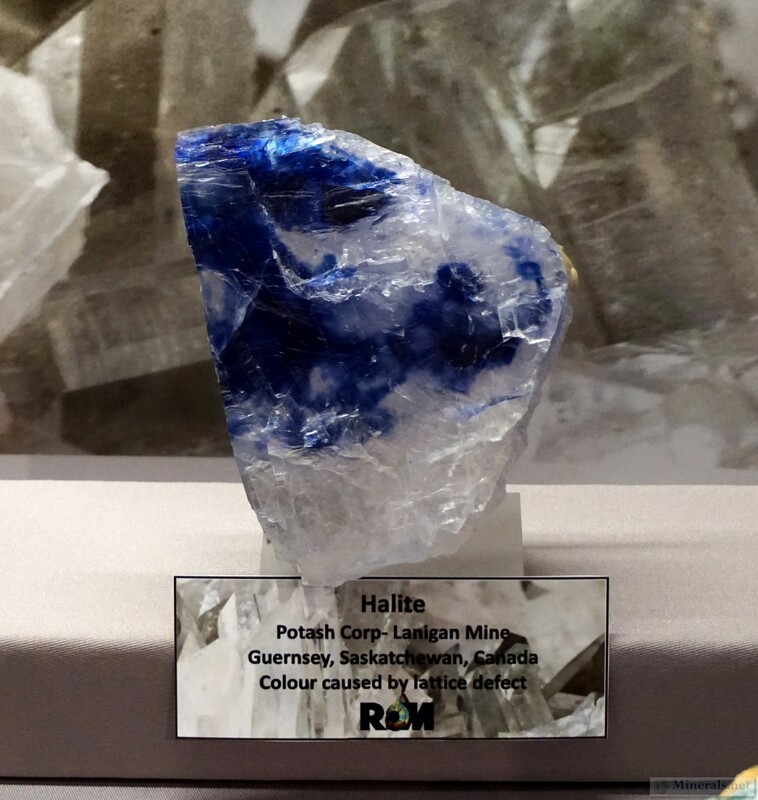 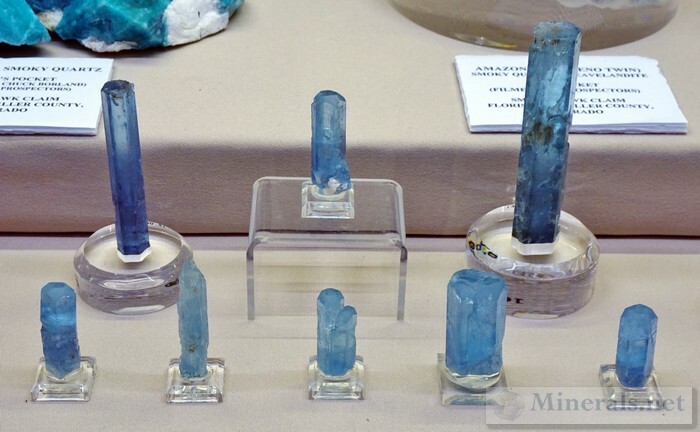 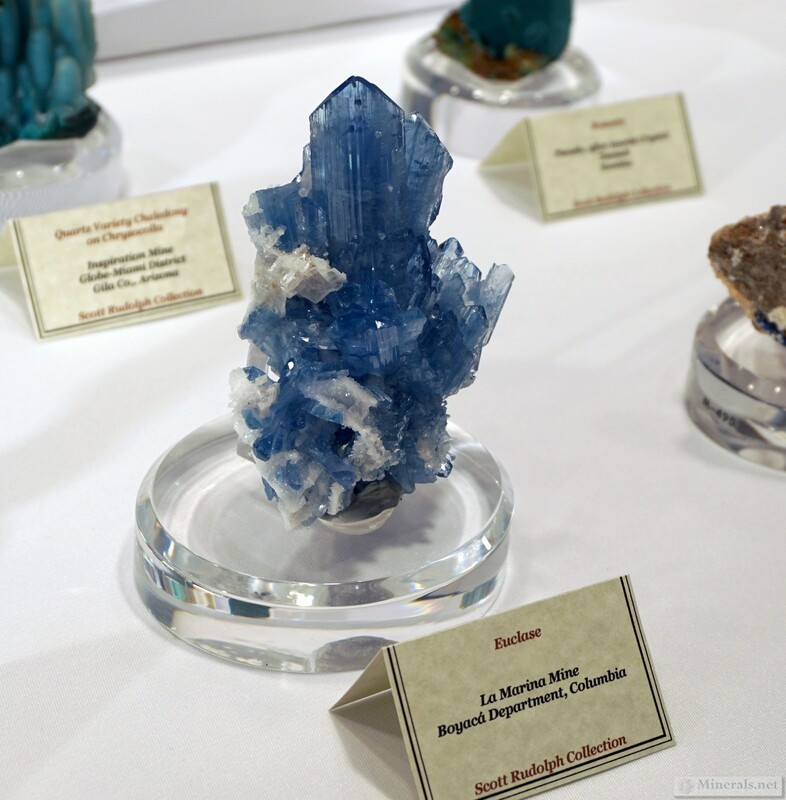 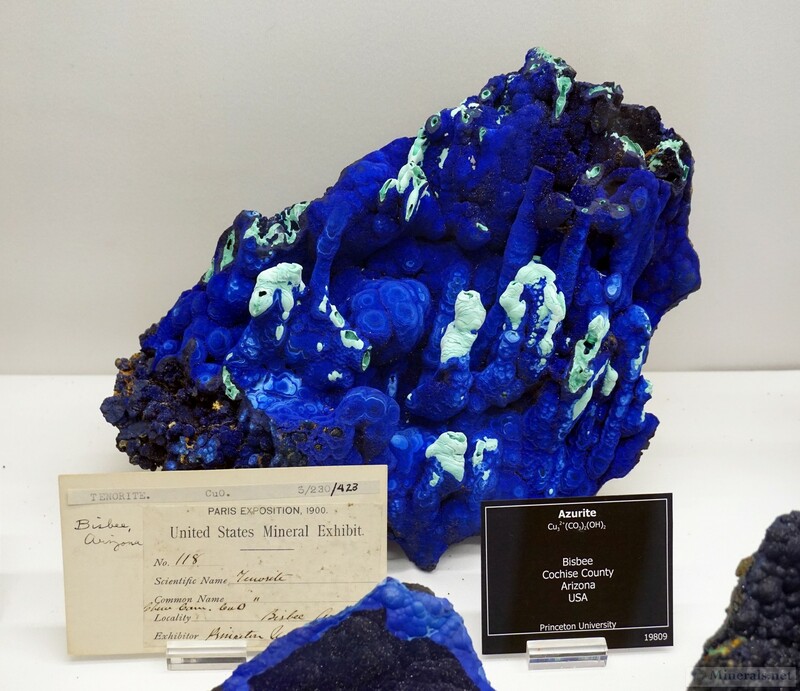 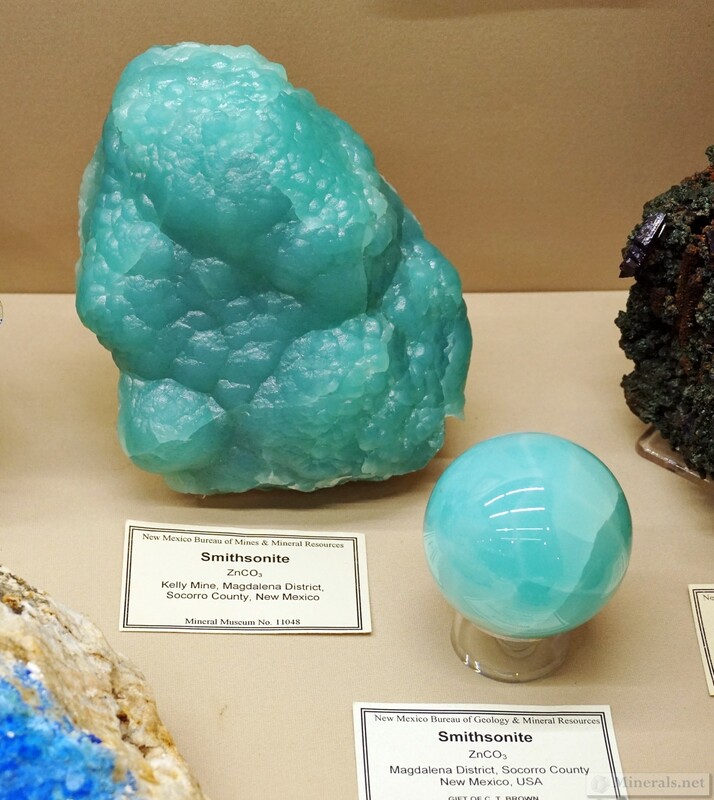 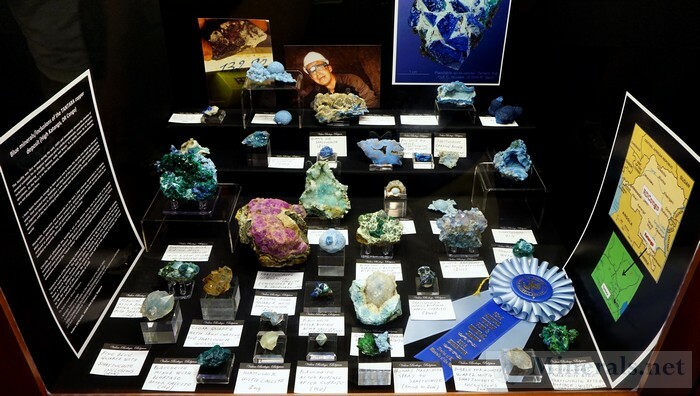 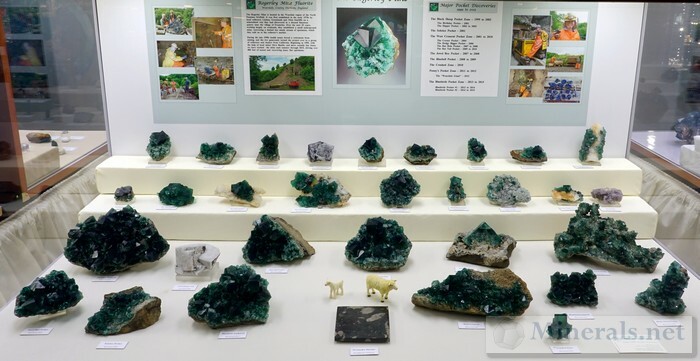 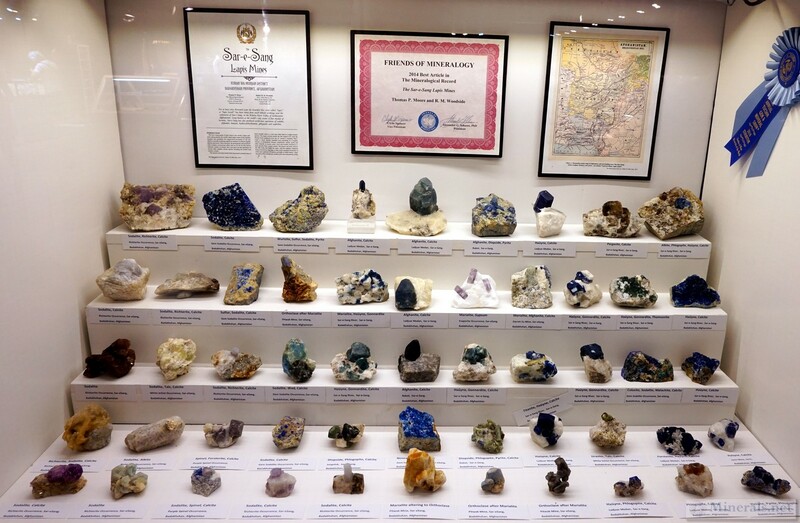 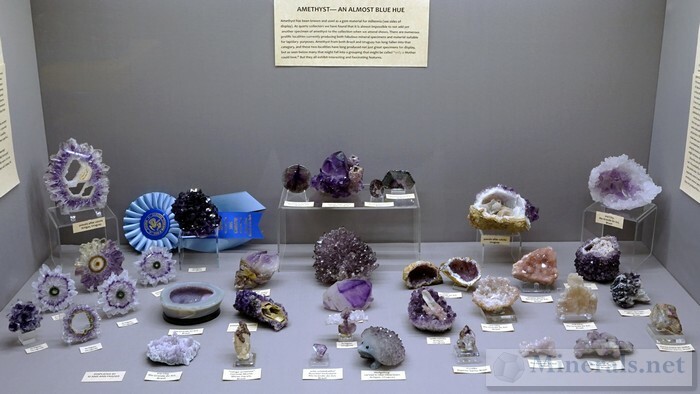 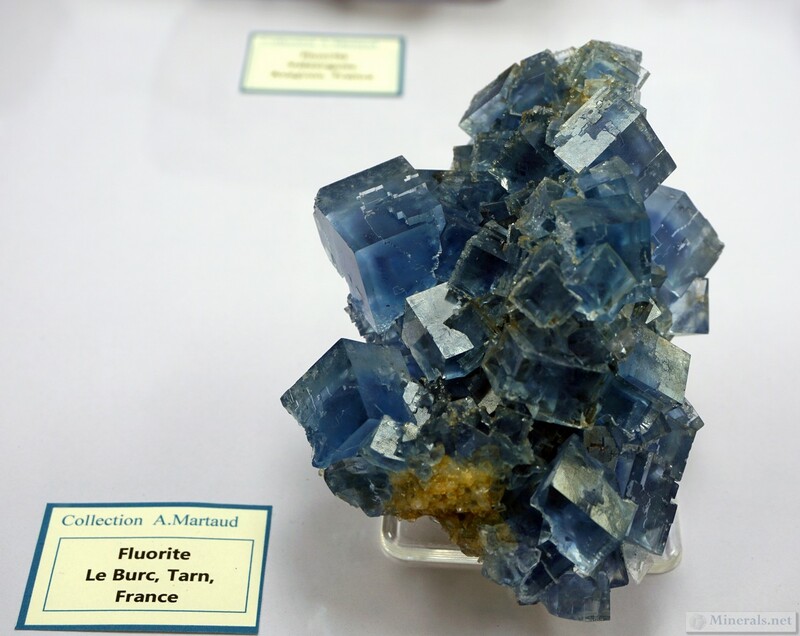 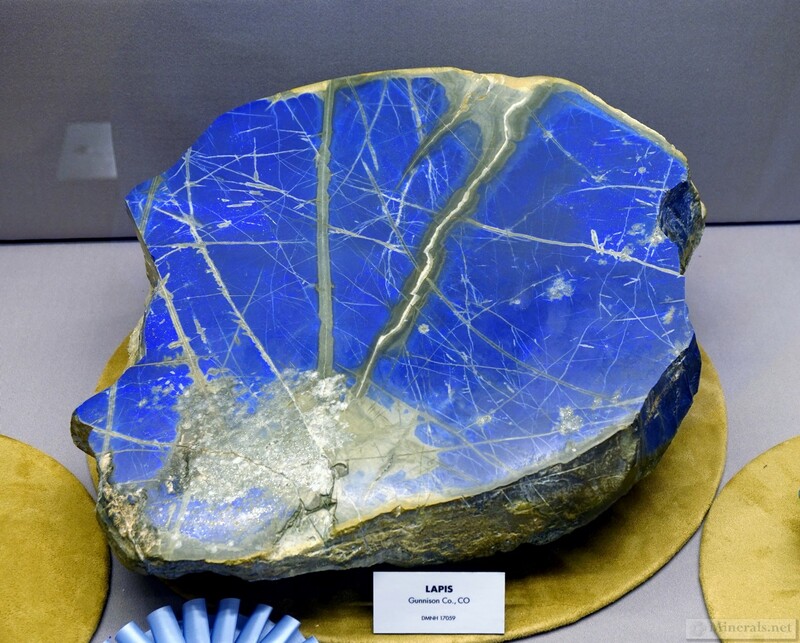 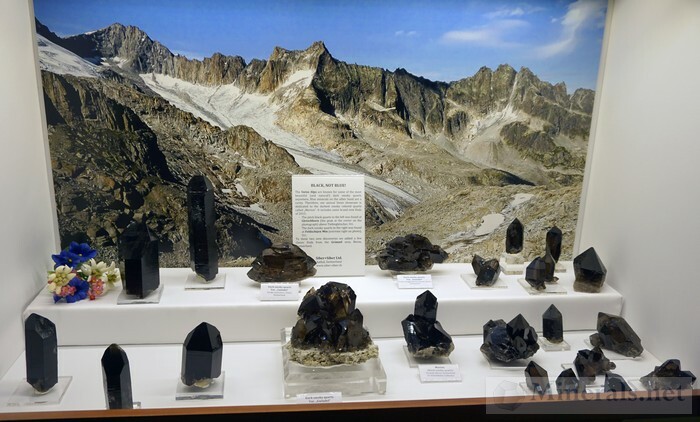 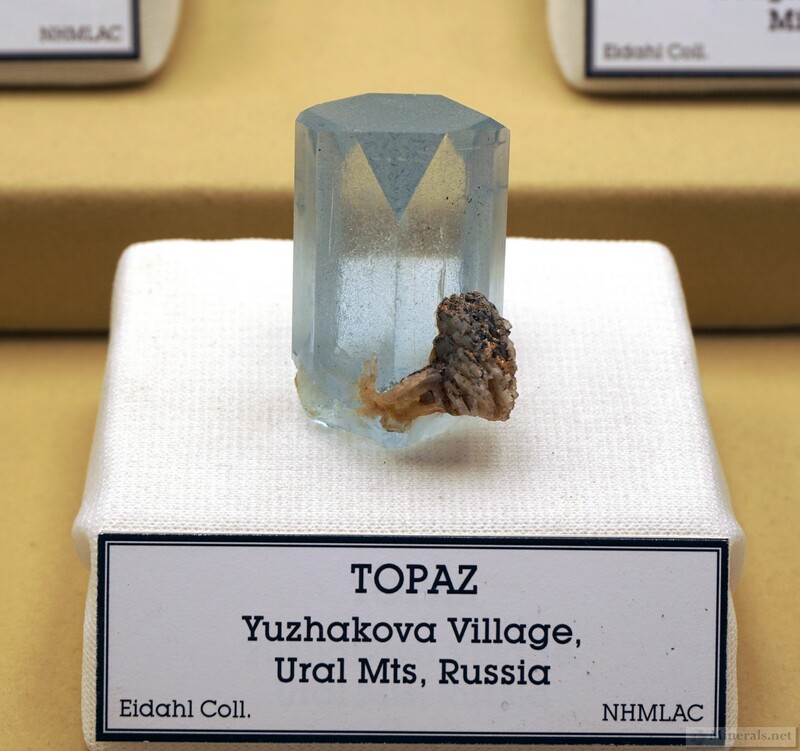 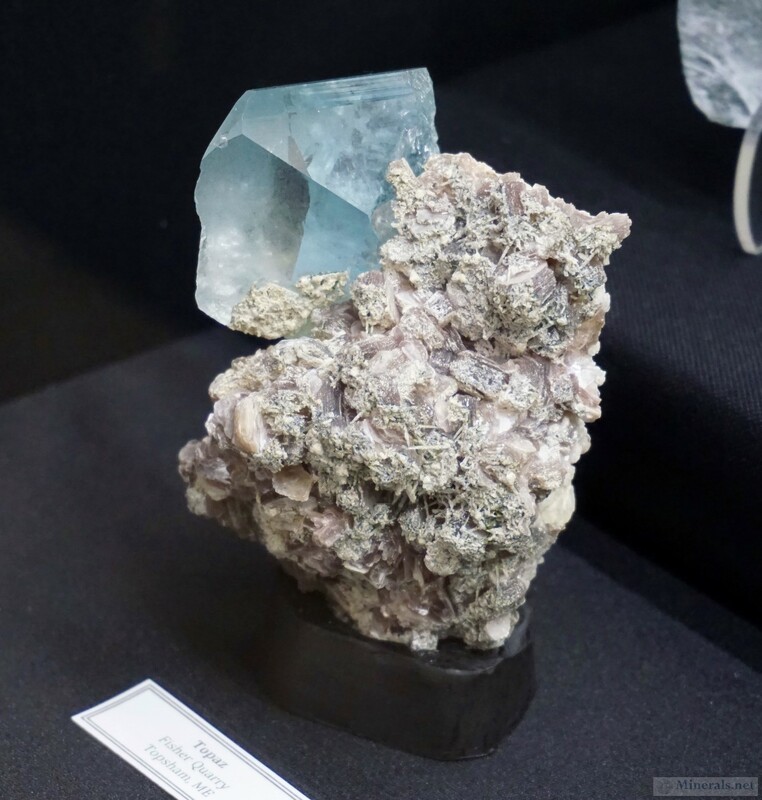 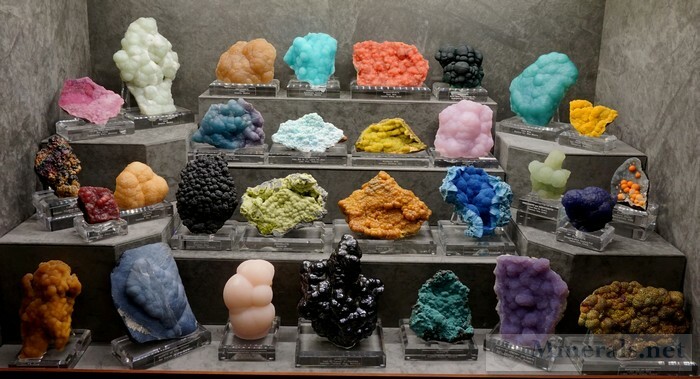 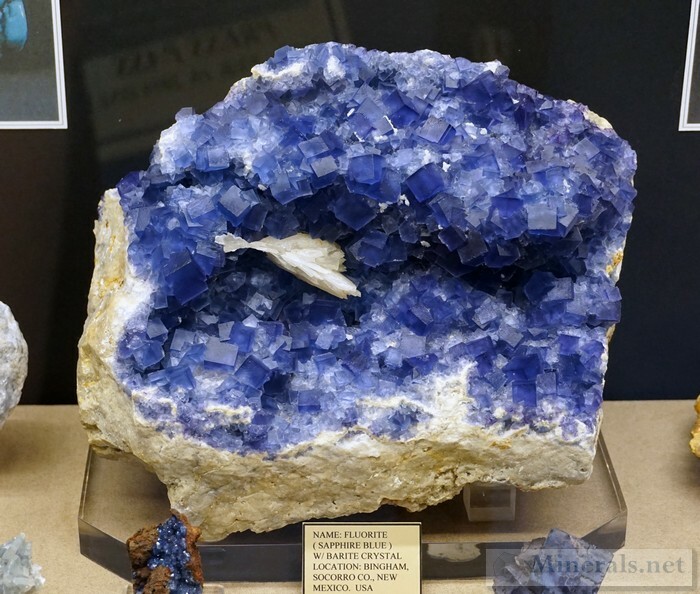 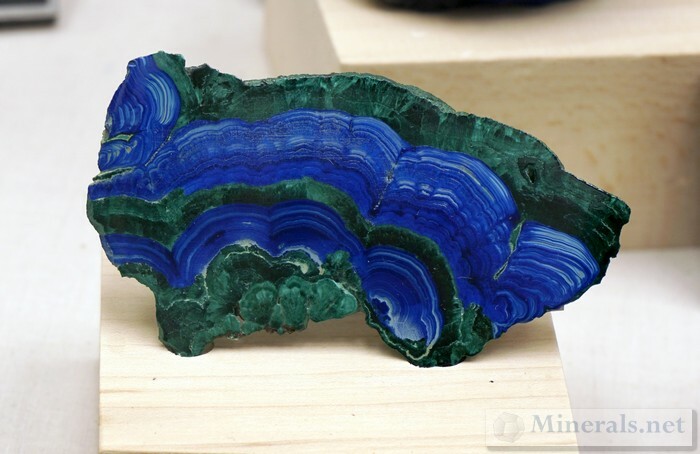 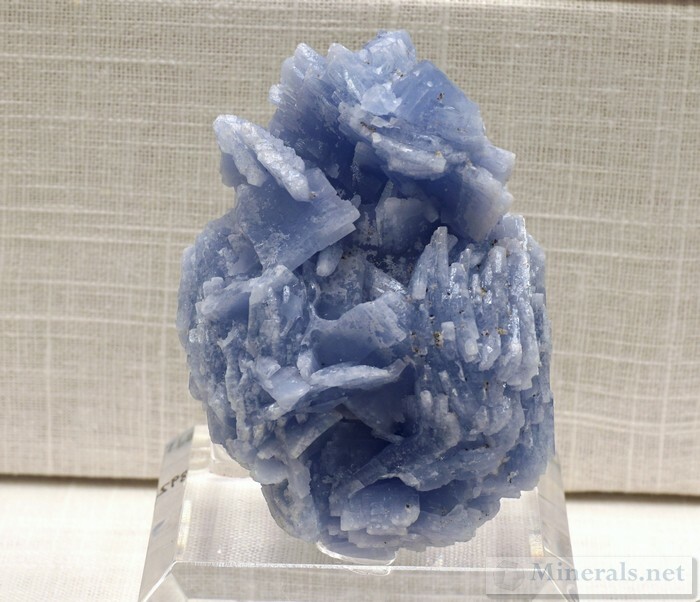 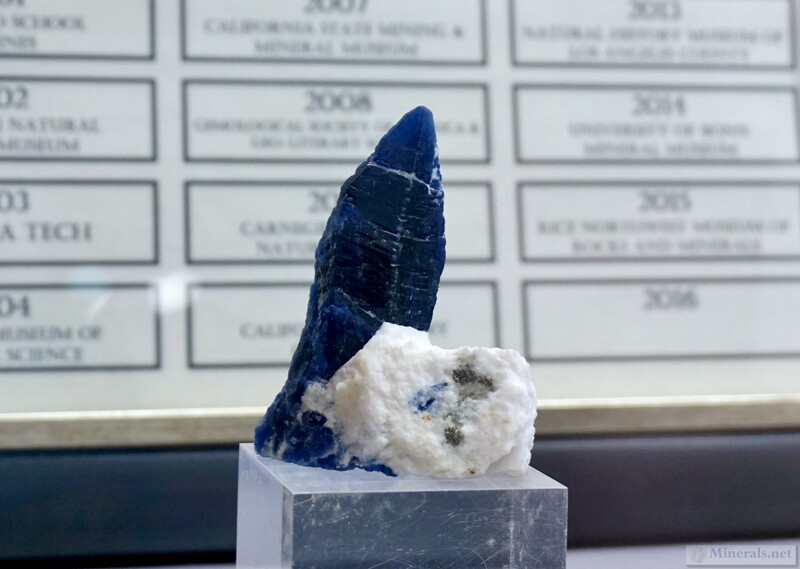 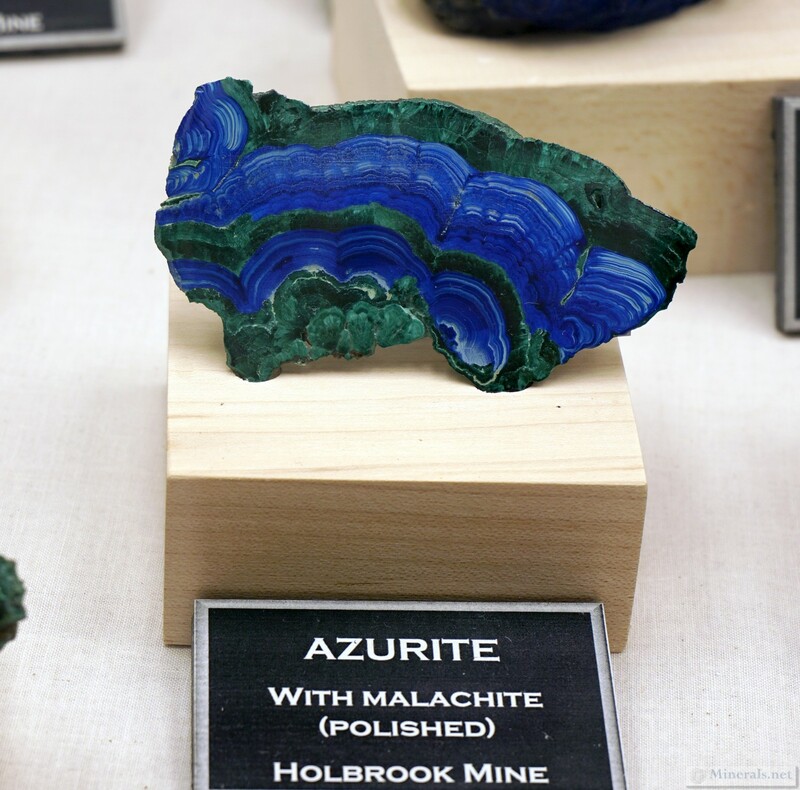 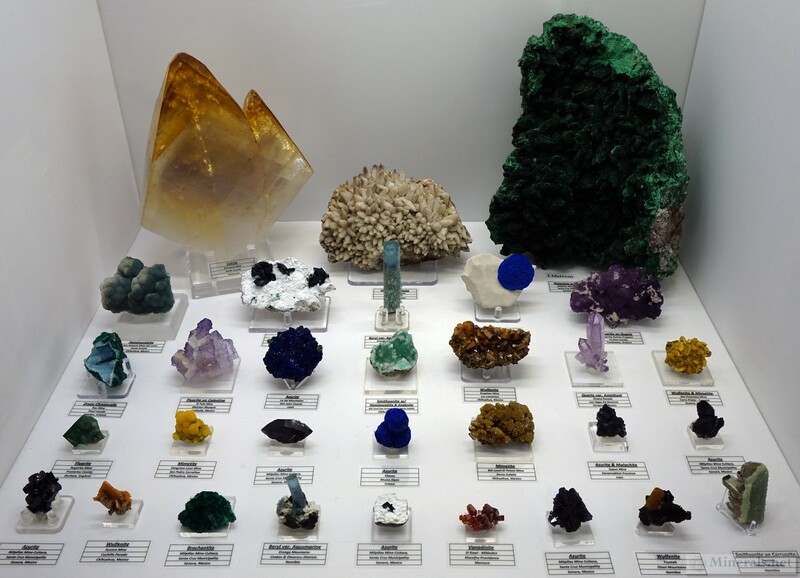 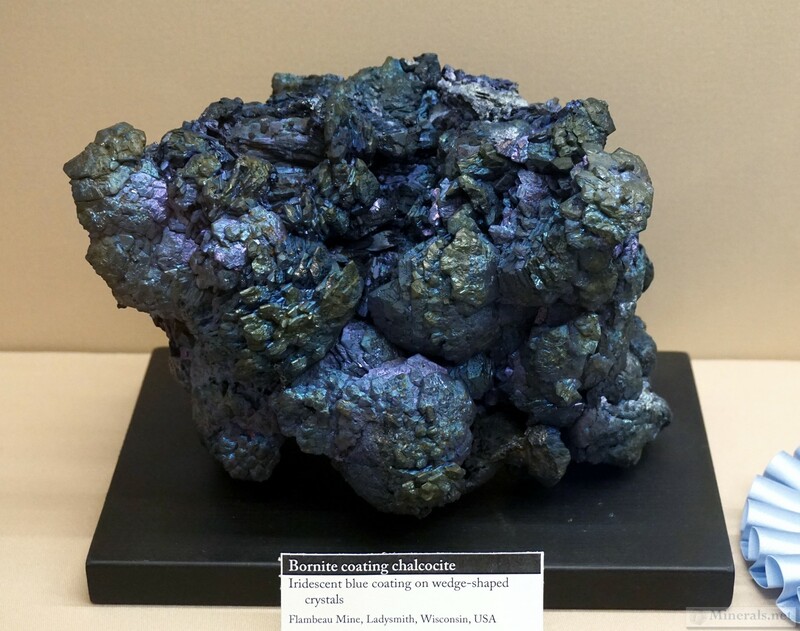 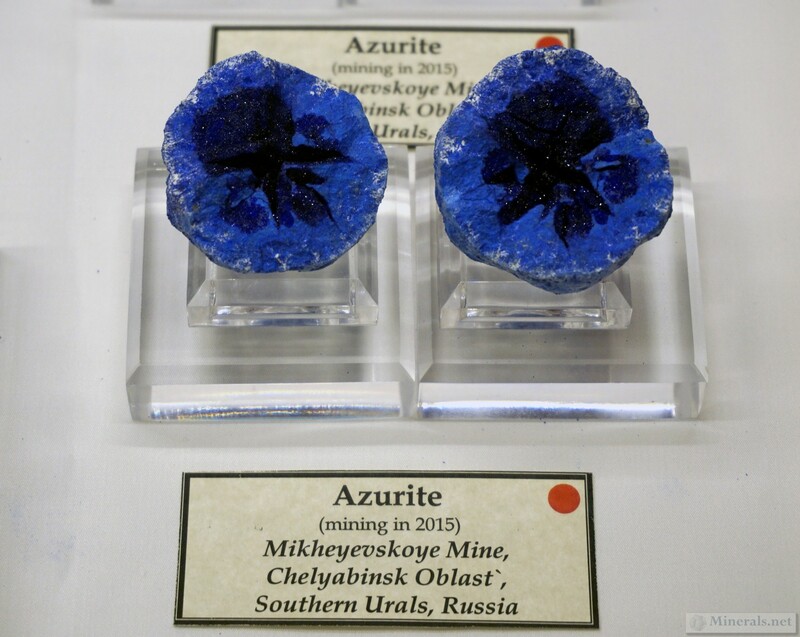 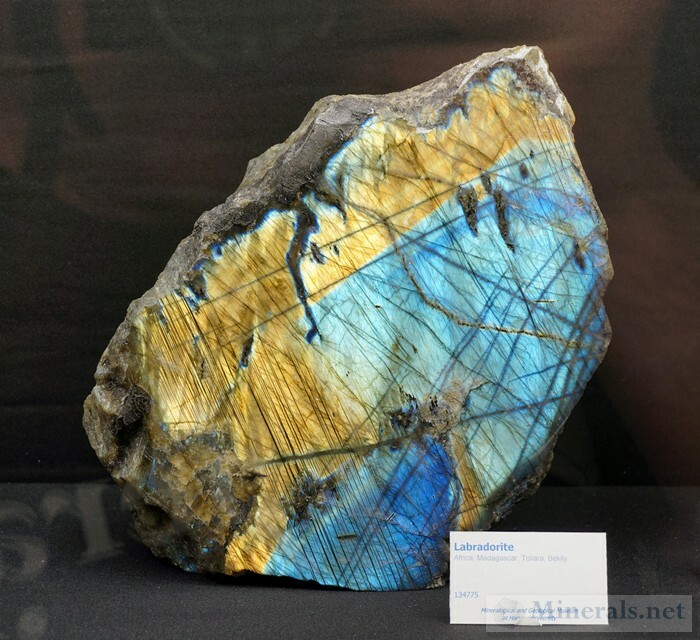 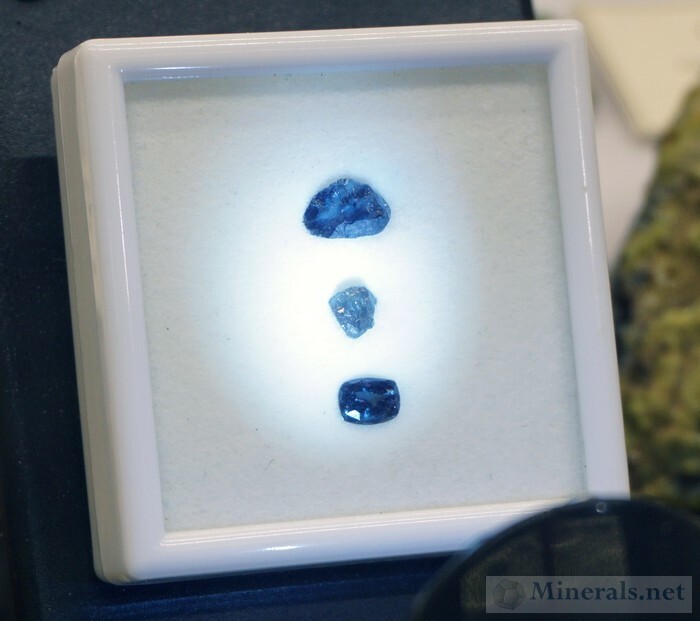 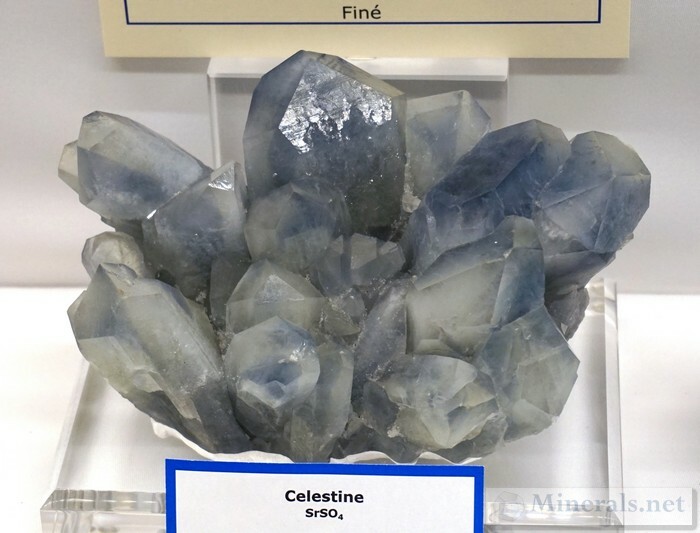 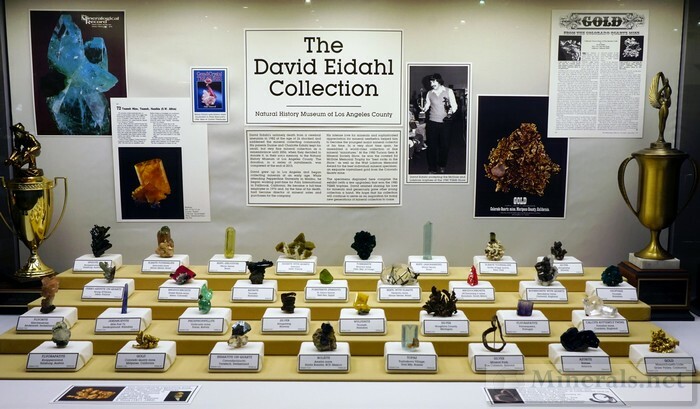 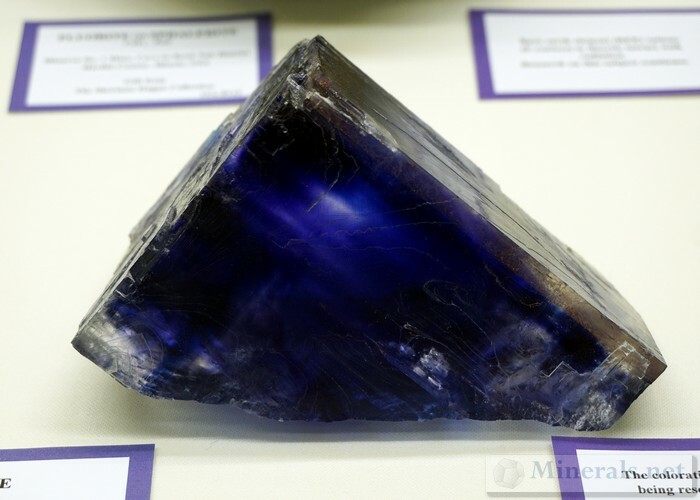 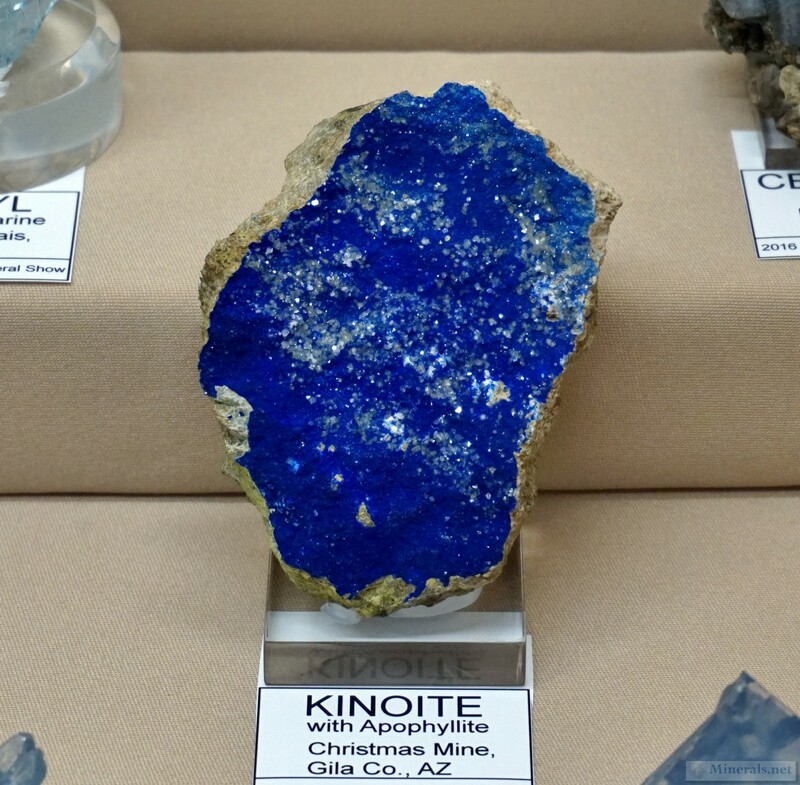 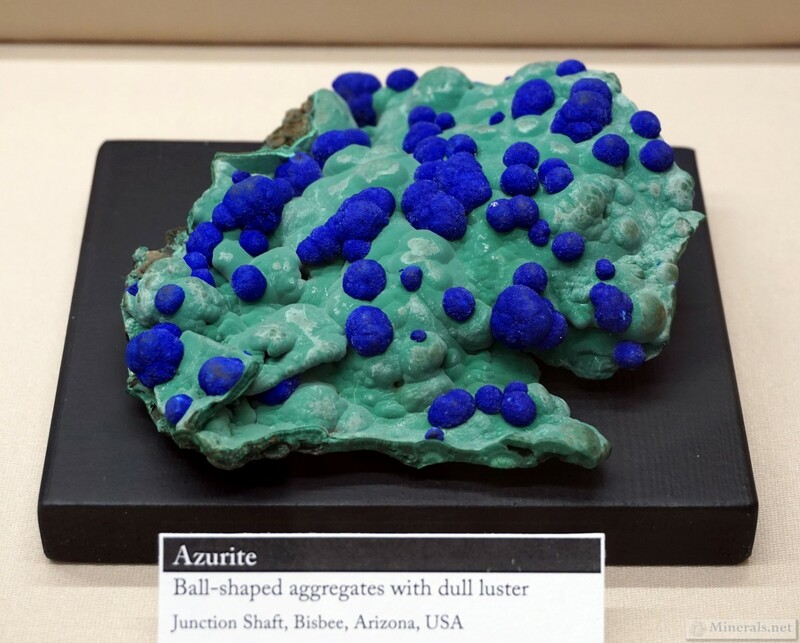 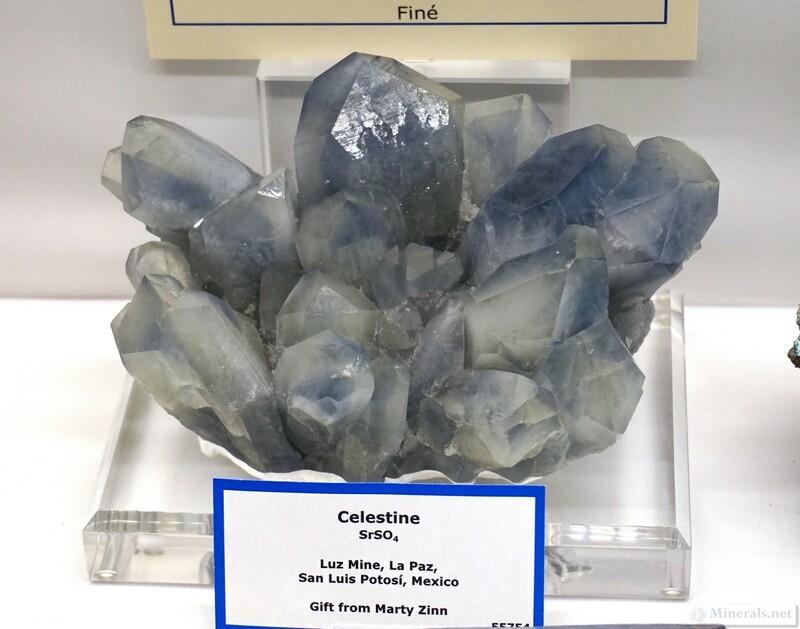 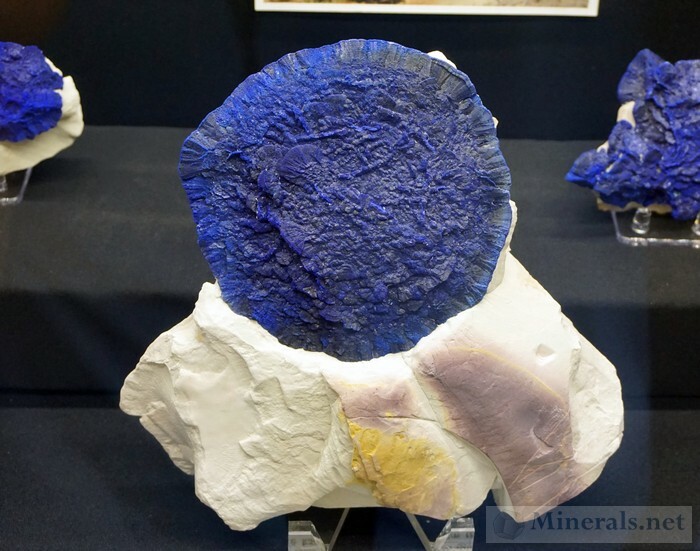 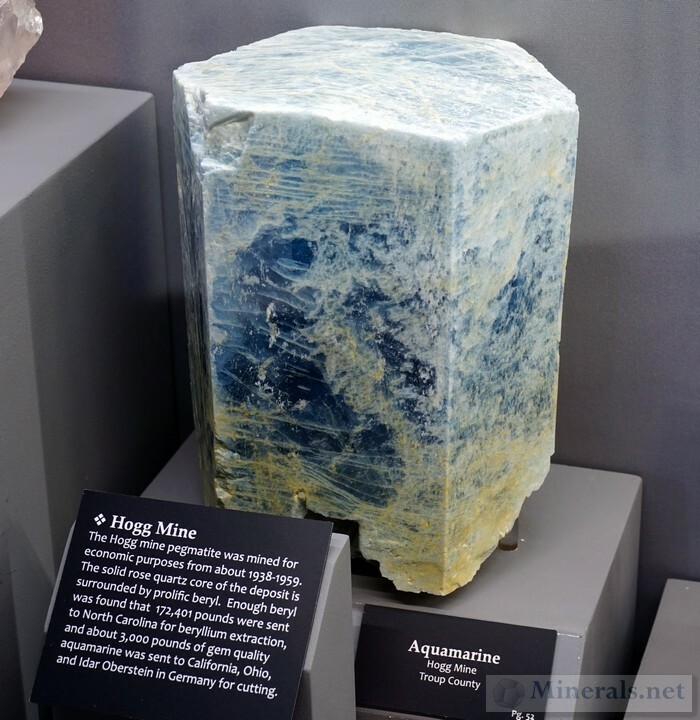 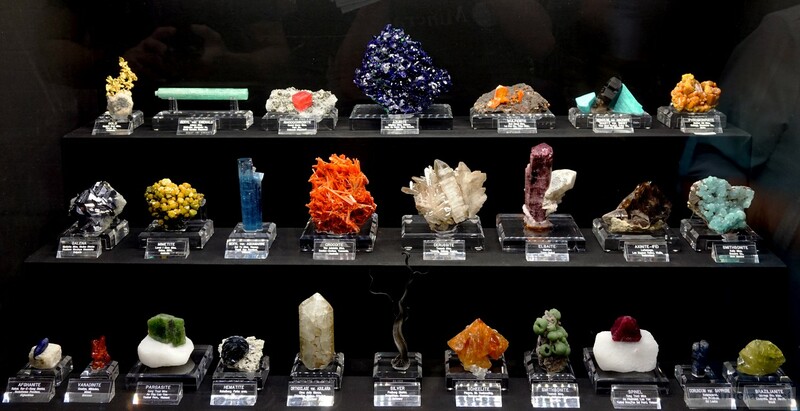 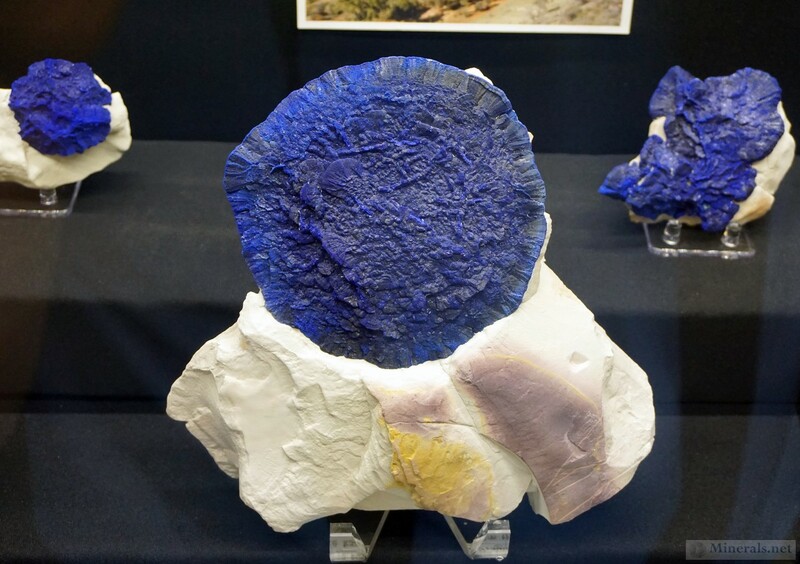 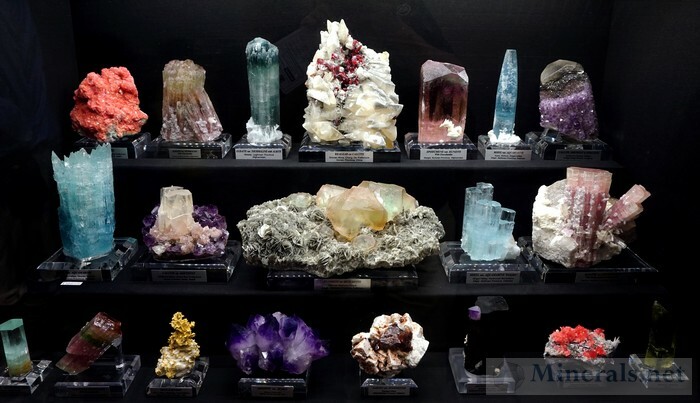 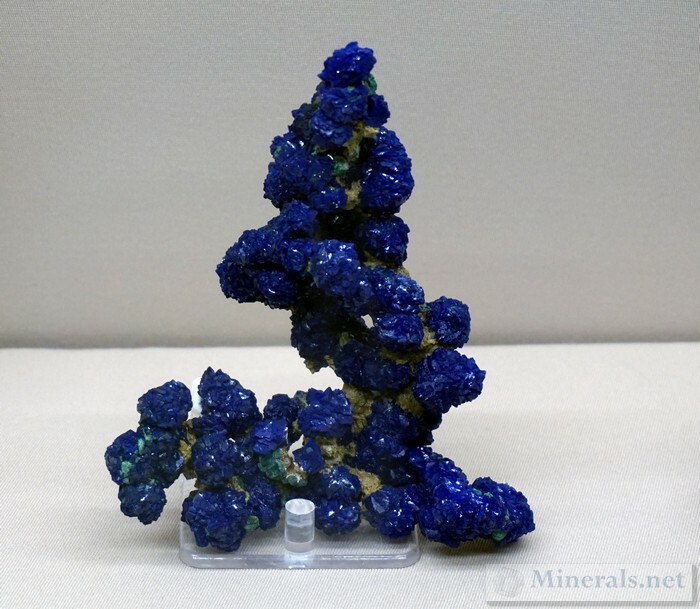 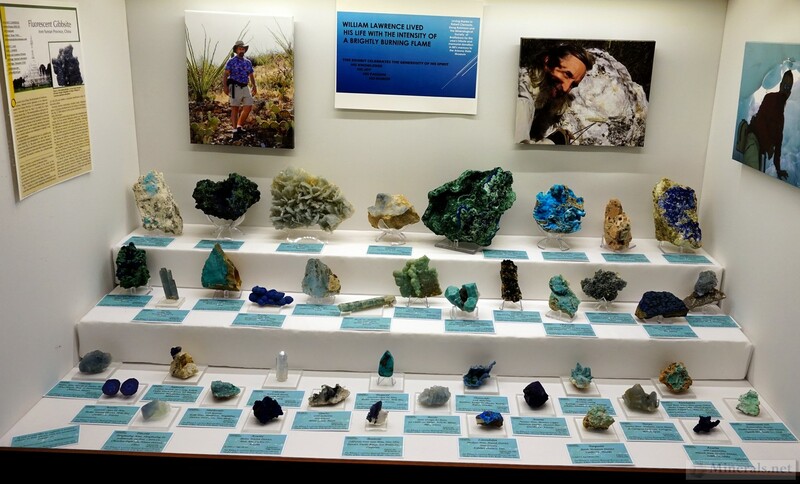 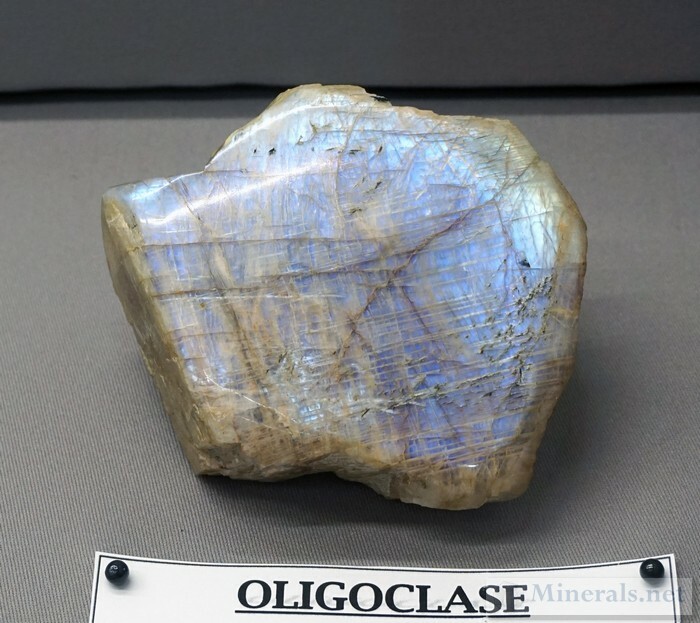 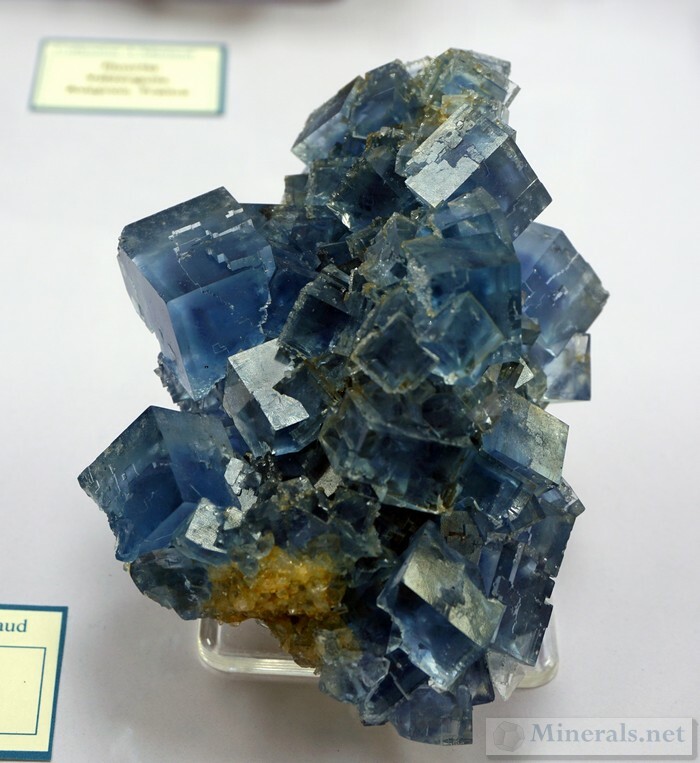 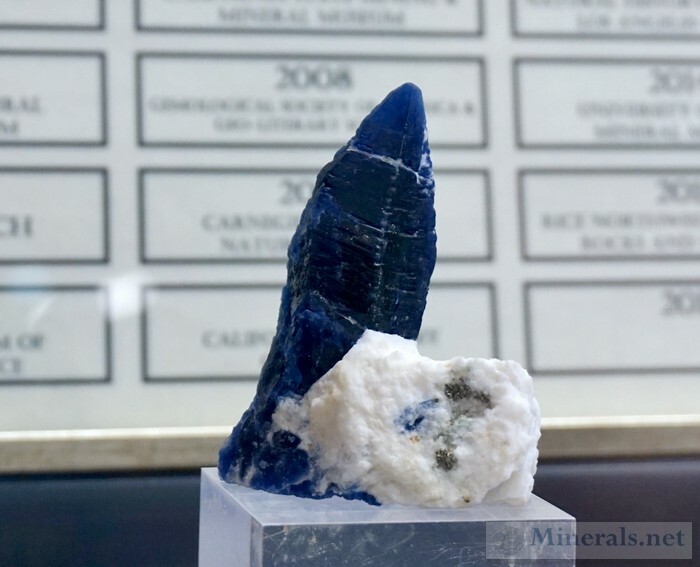 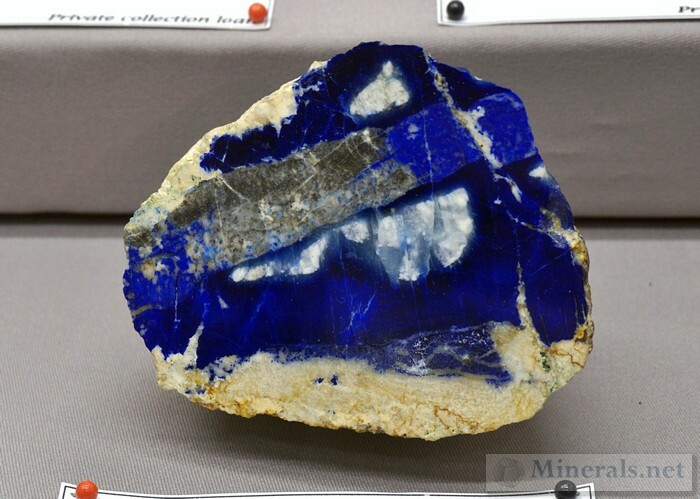 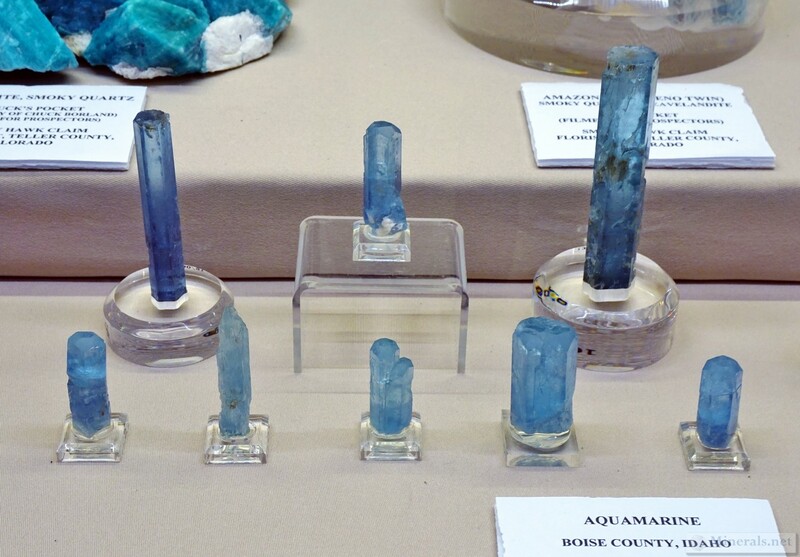 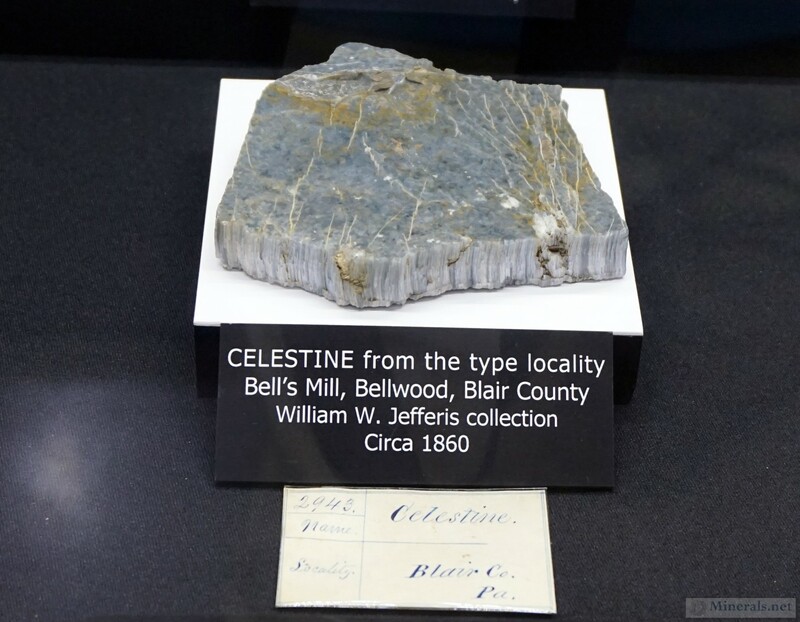 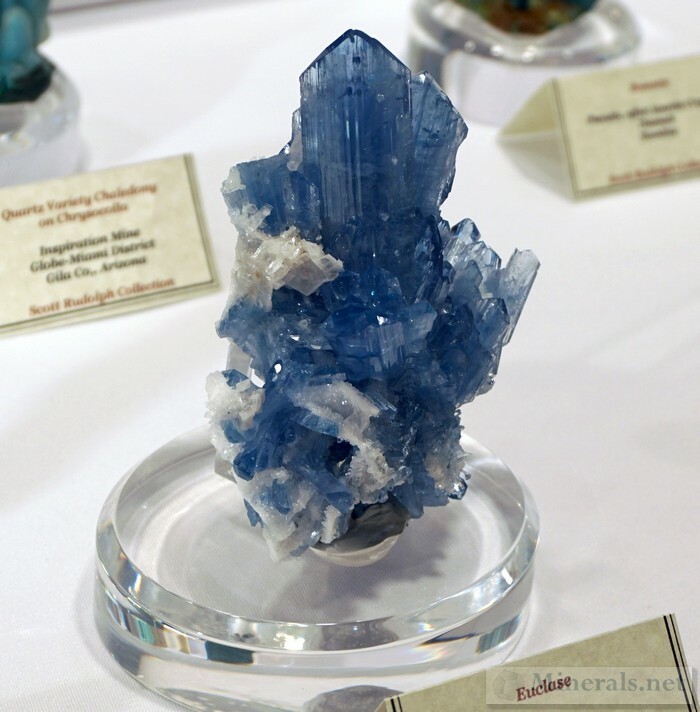 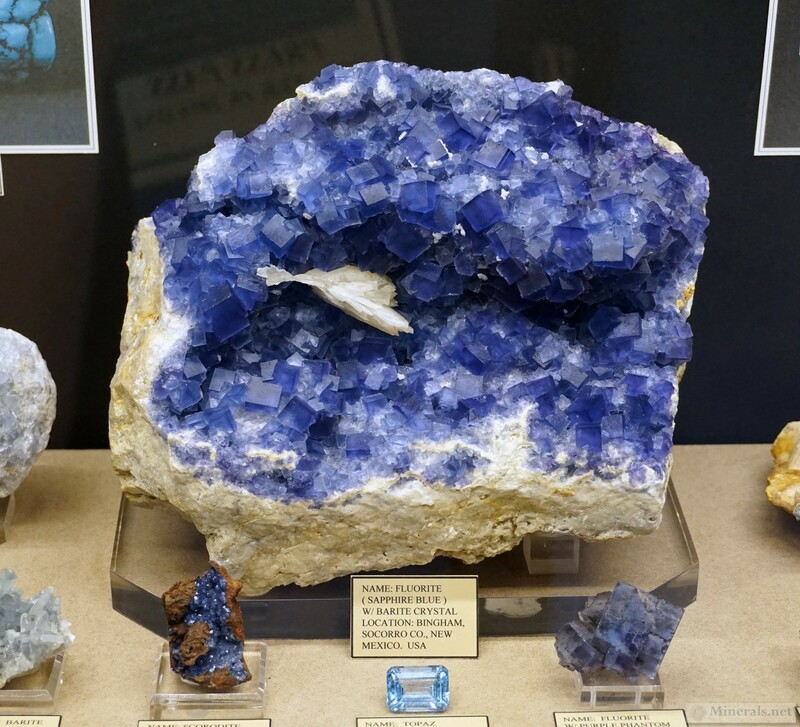 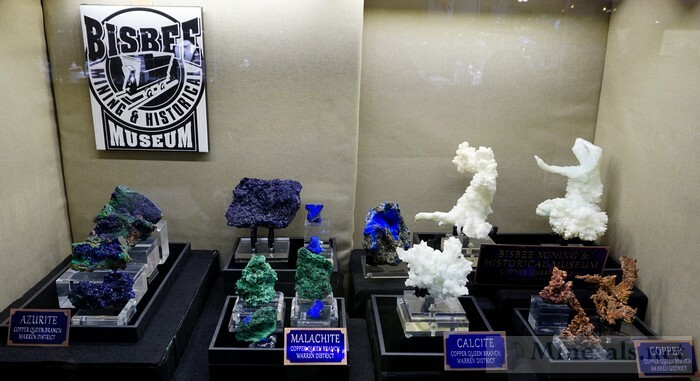 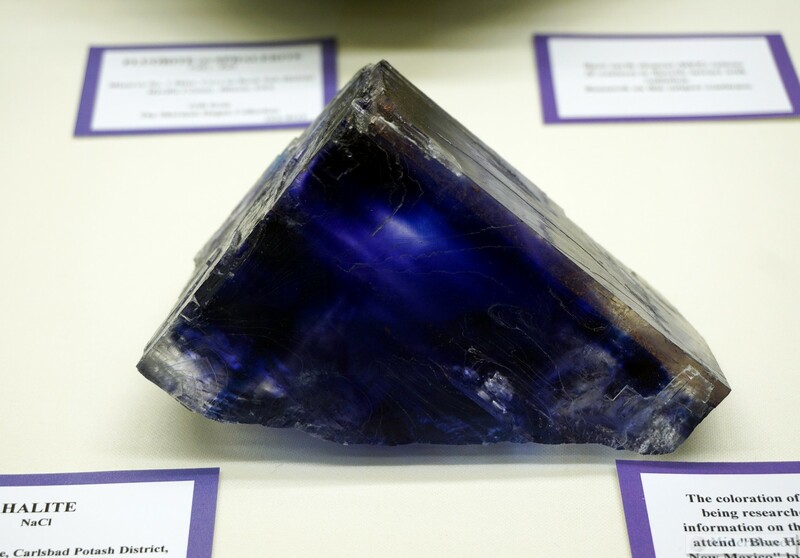 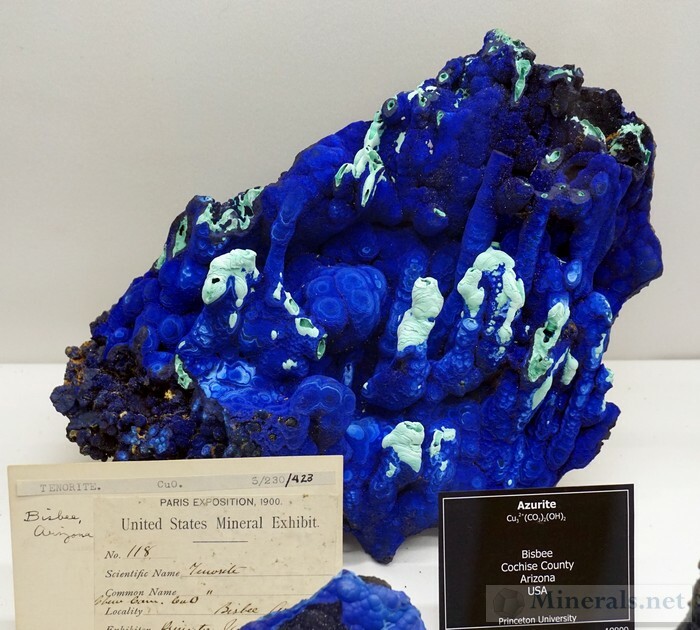 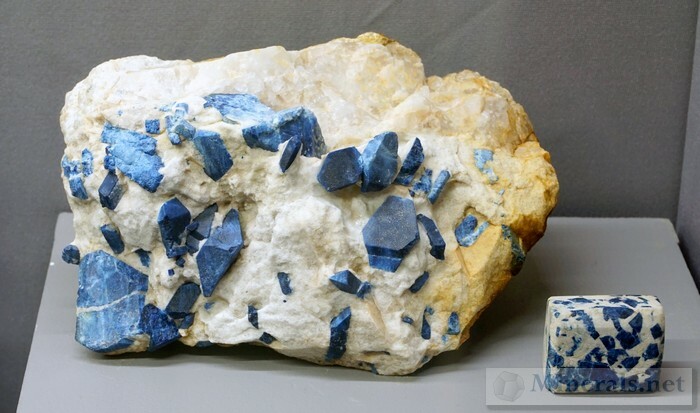 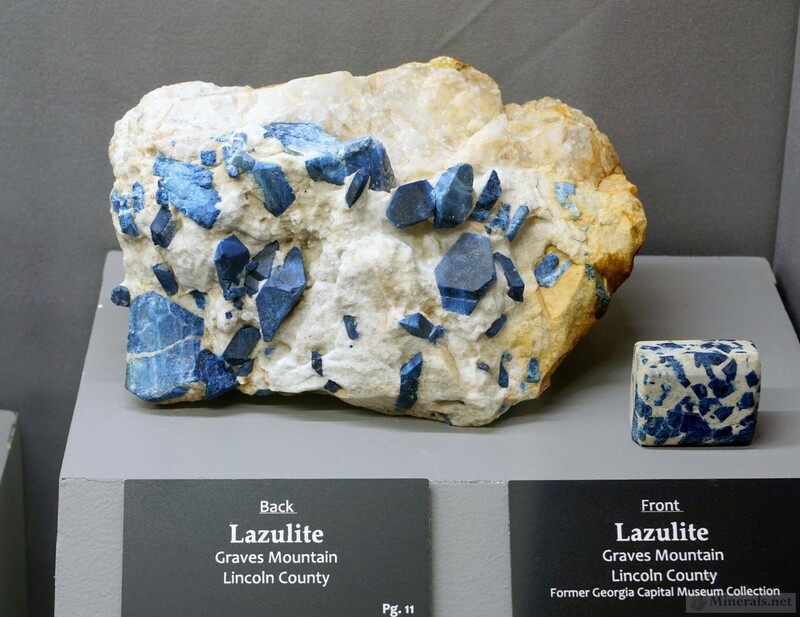 Now that you've all seen the "Shades of Blue" theme displays at The Tucson Gem and Mineral Show®, it's time to show some of the individual minerals. 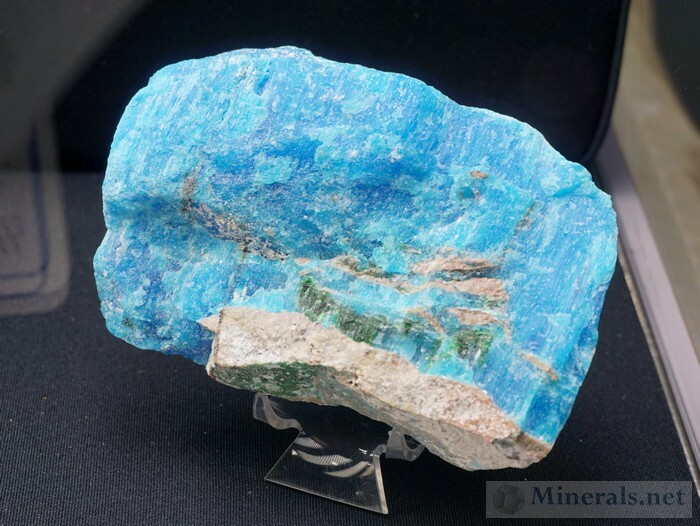 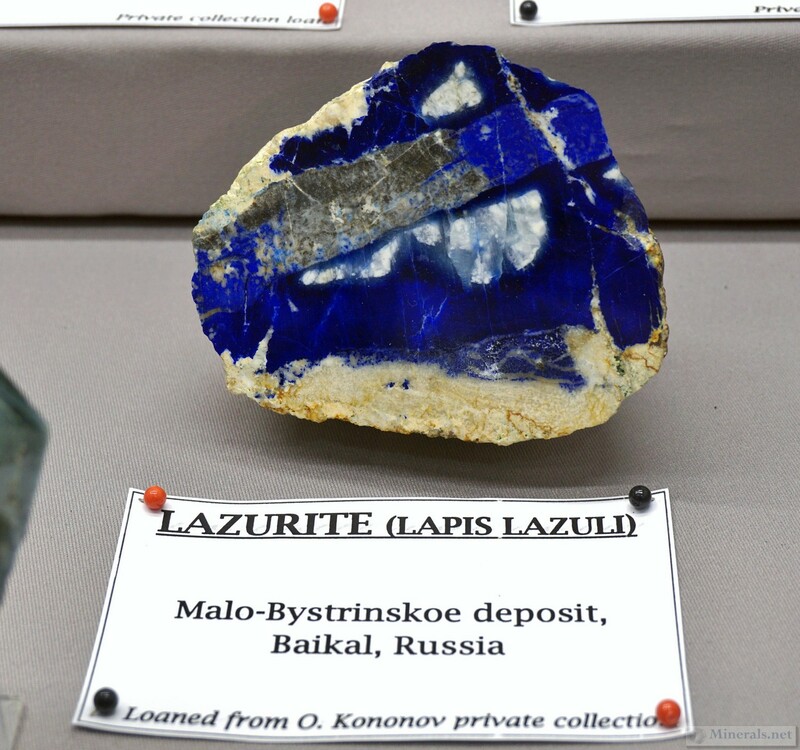 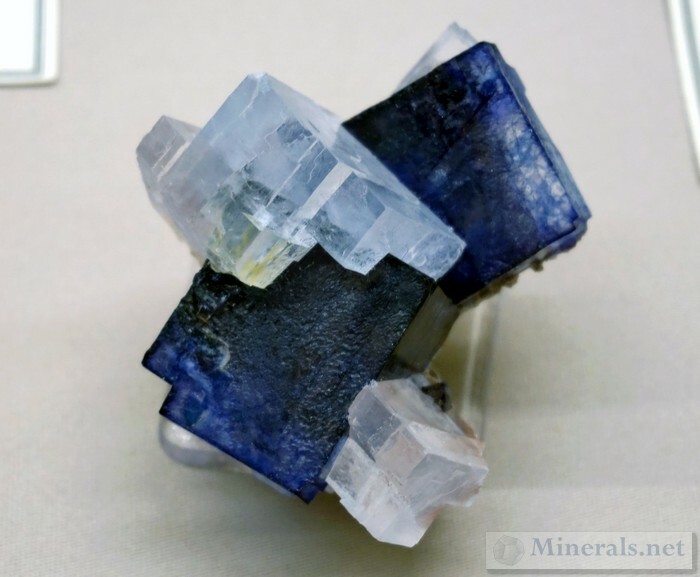 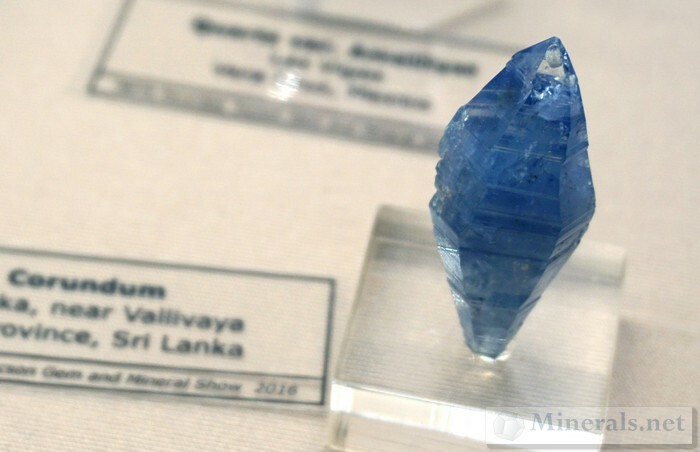 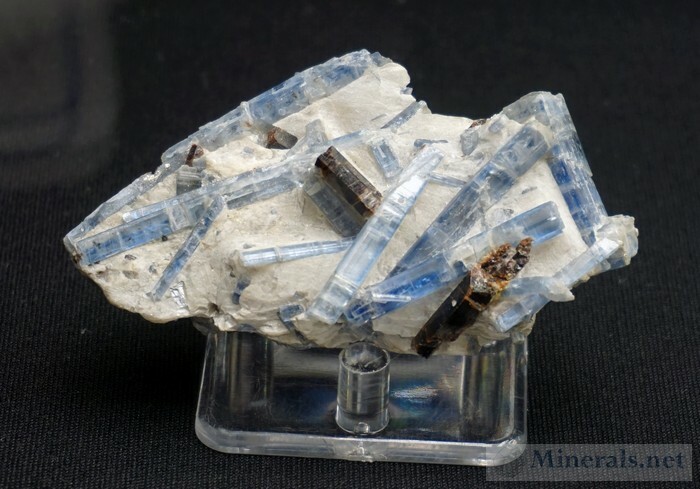 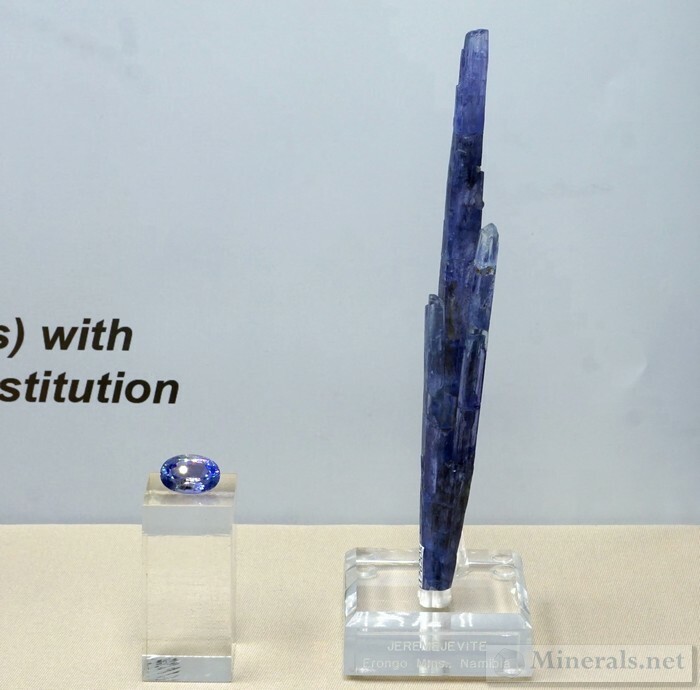 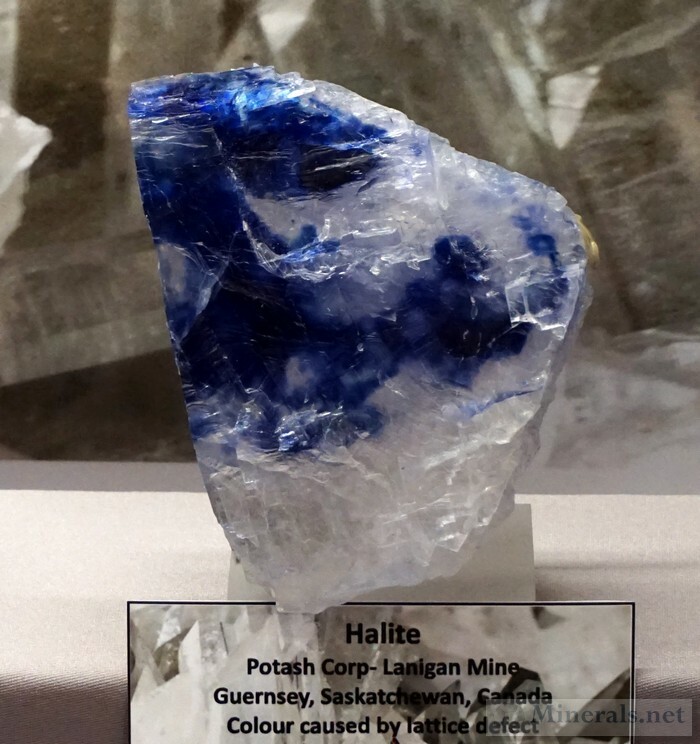 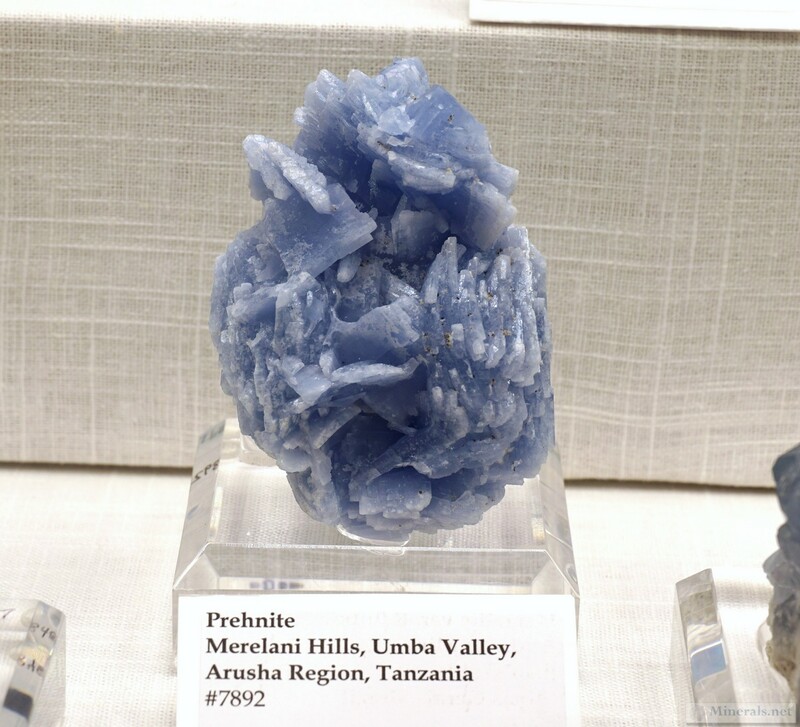 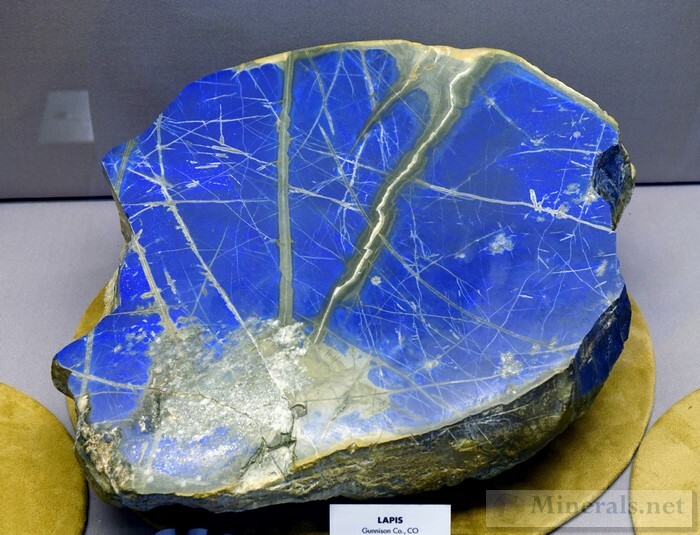 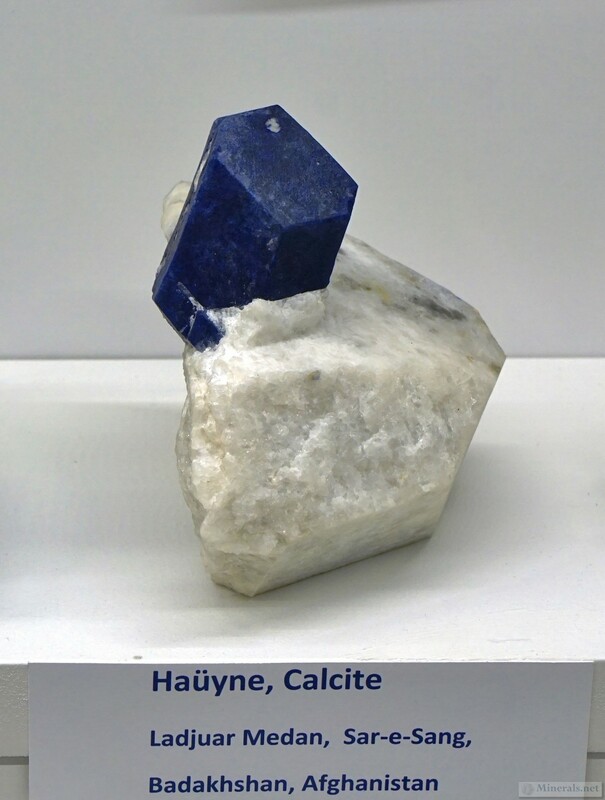 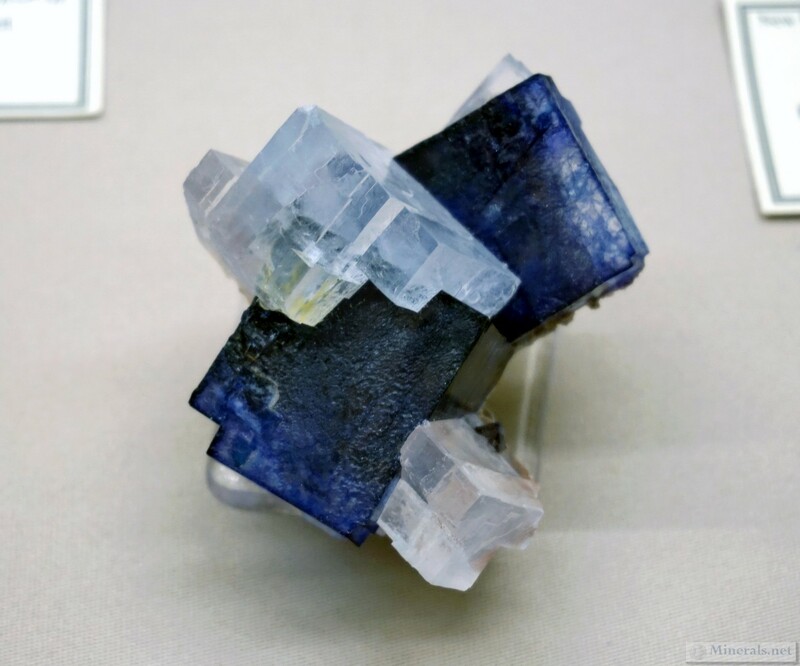 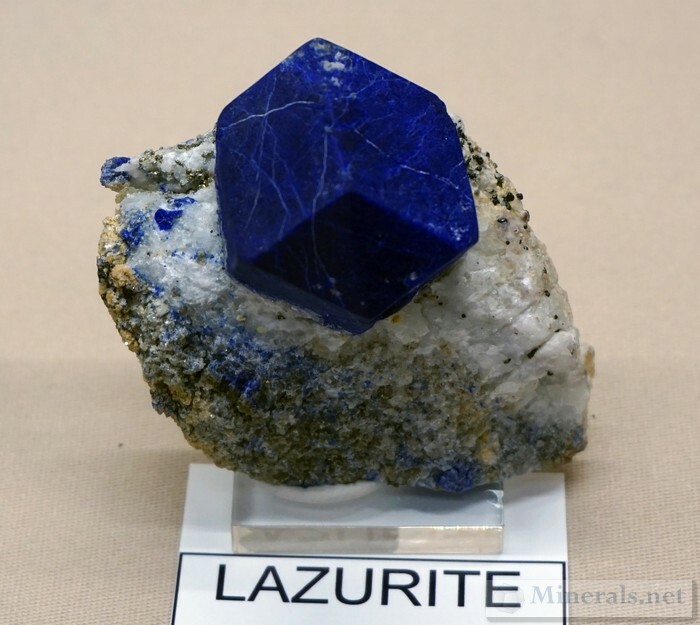 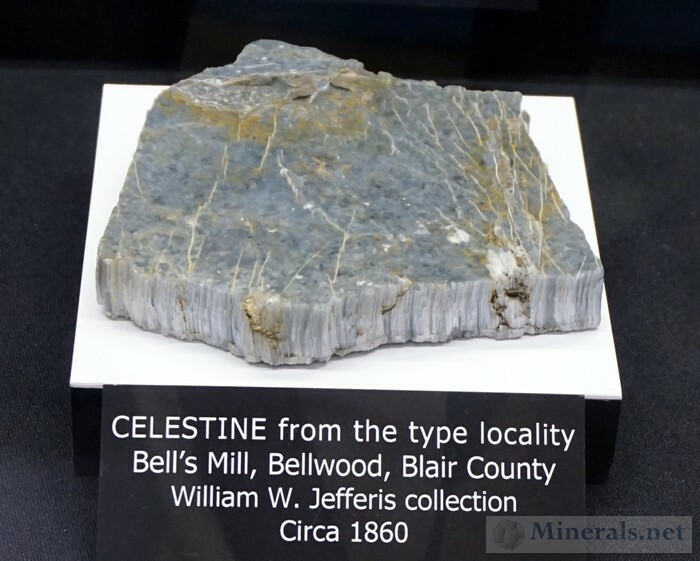 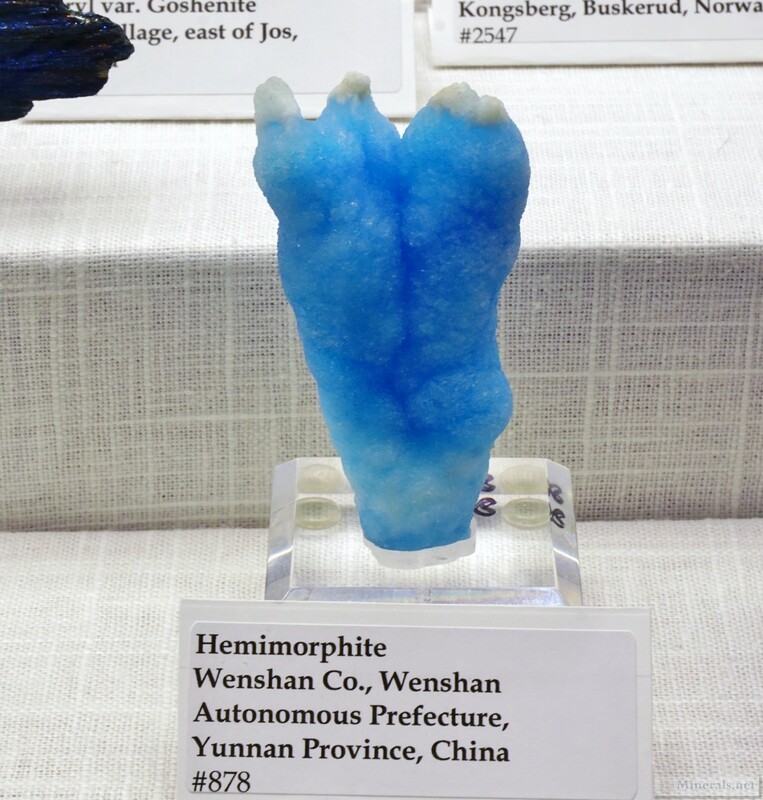 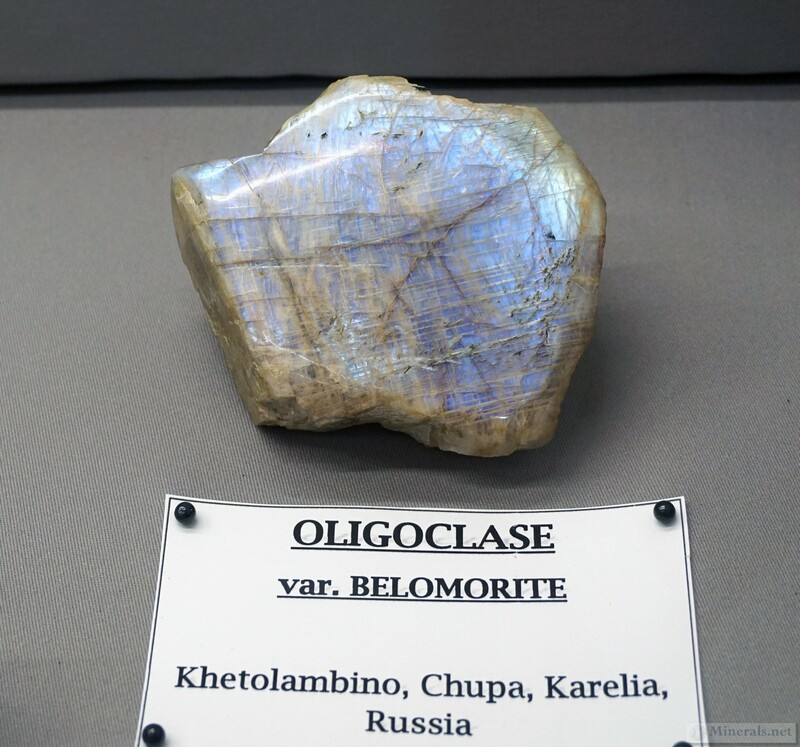 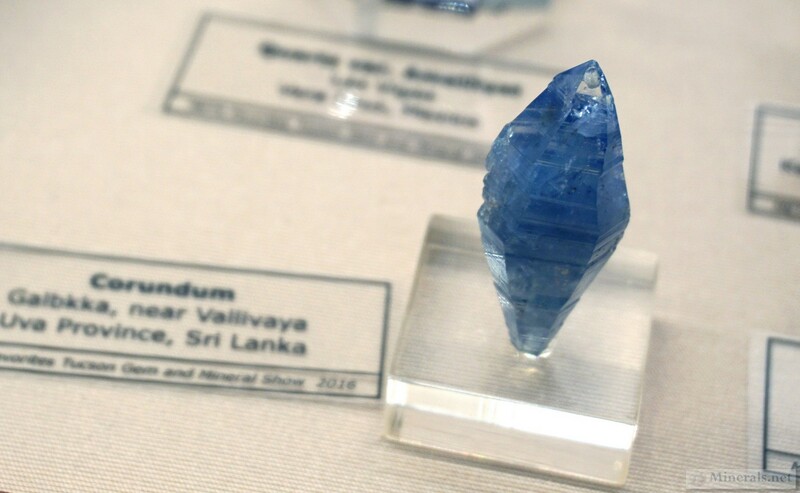 Once again, since there were so many good blue minerals that I photographed, the post was too large for a single post, so I am dividing the blue minerals into two separate posts. 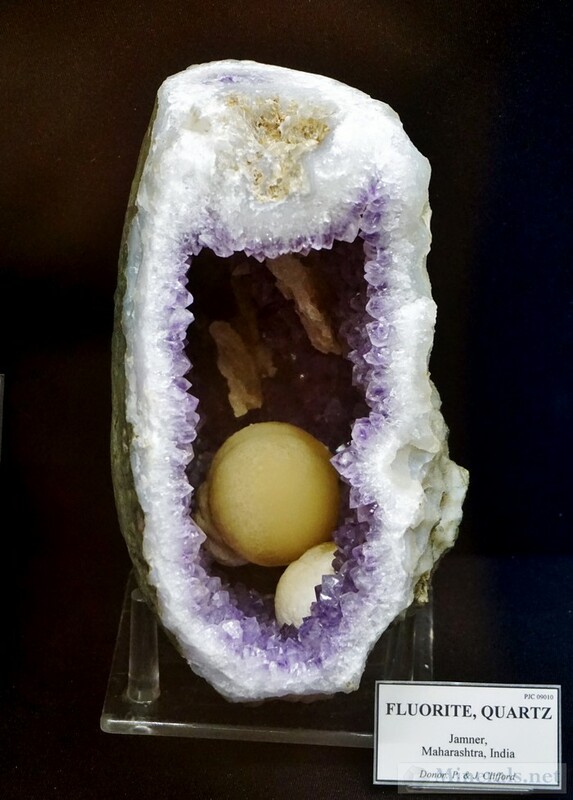 This is the first of the two. 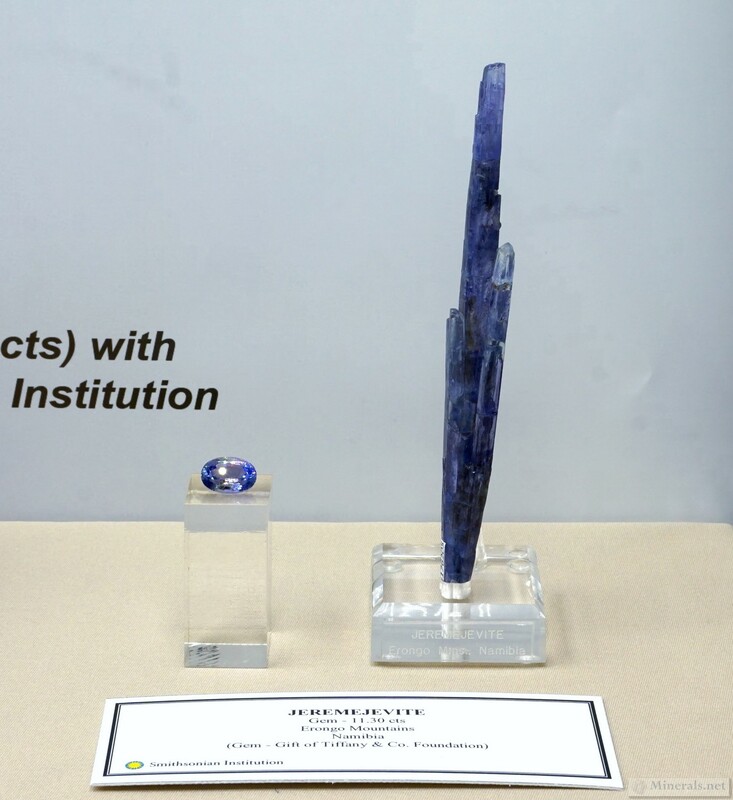 Stay tuned for the next one which will be posted shortly. All the images are clickable for larger photos. The larger photos may also have additional information such as a label.